Essential accessories including finishing touches. Personalisation is important to give home spaces and buildings character. 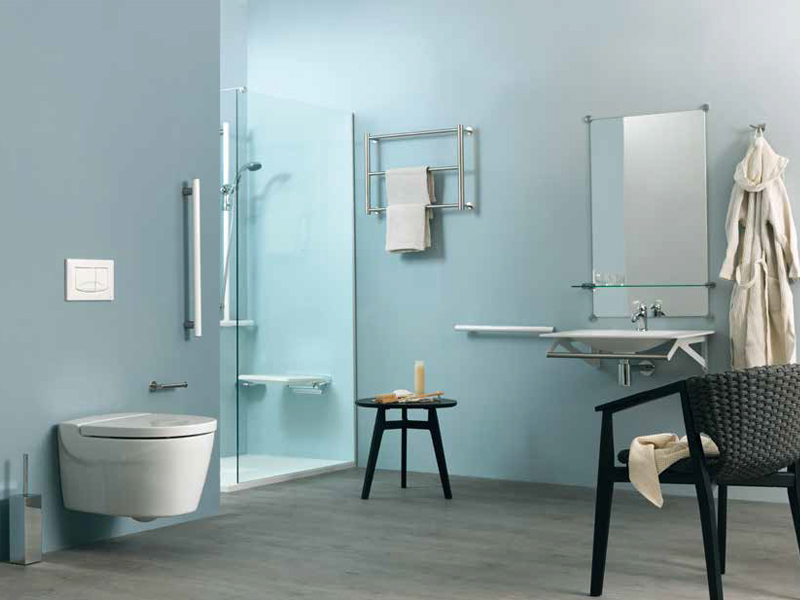 Creating a welcoming environment can easily be achieved with simple stylistic and functional additions such as a mirror or a cloth holder. 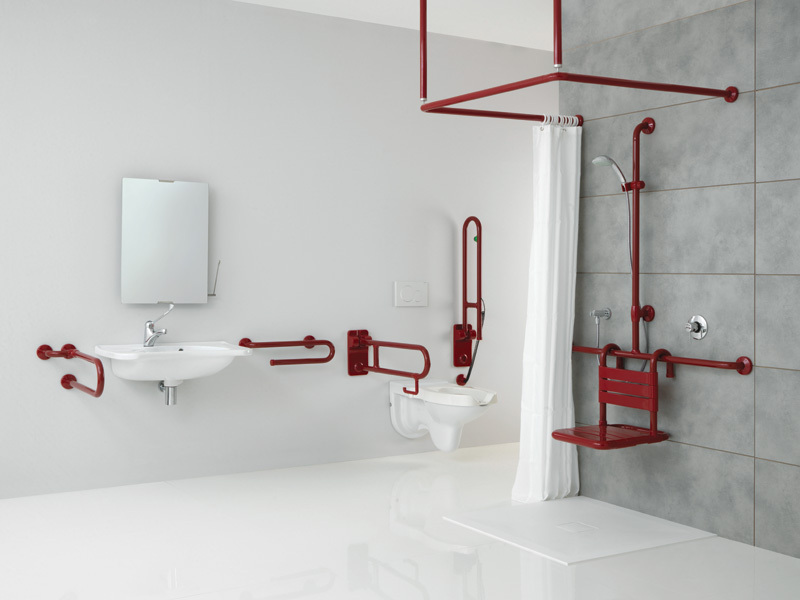 We offer products suitable for a variety of uses both in domestic or public areas, hospitals or hotels, supplying technical and aesthetic solutions suitable for many uses, while also offering enhanced safety, quality and style. 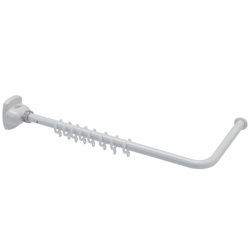 The ergonomic shower head holder, adjustable using only one hand, is expandable and fit for shower bar and handrails, easy upper and lower stepless adjustment. 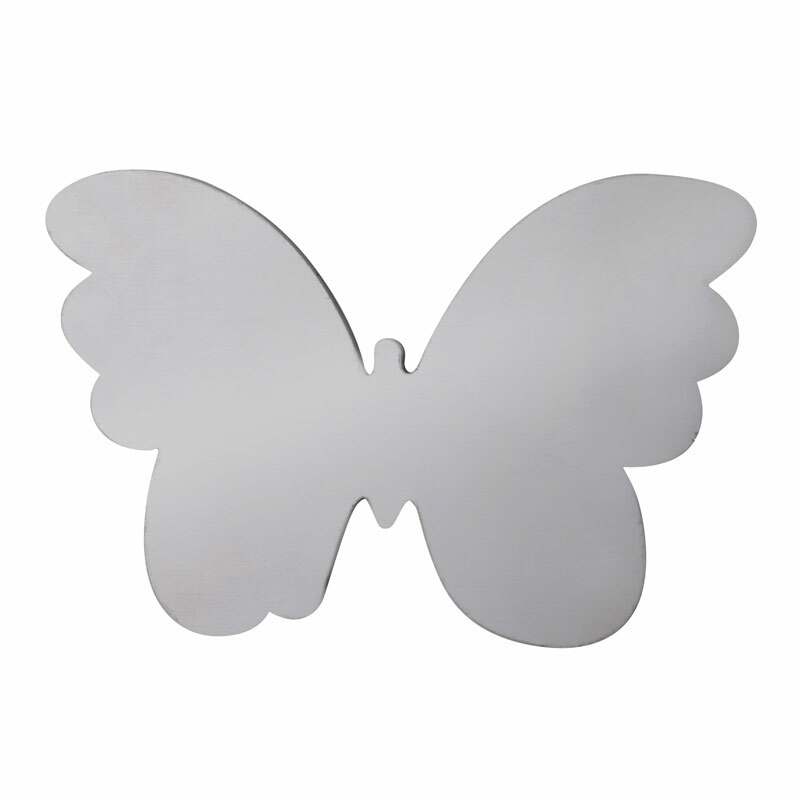 A choice of colours or chromed finish are also available. 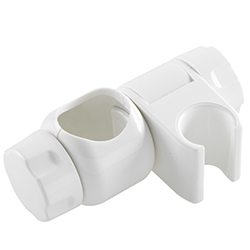 Crutch support bracket, this crutch support bracket is a very important accessory for people washing from the sitting position who require something to hold a crutch or walking stick. 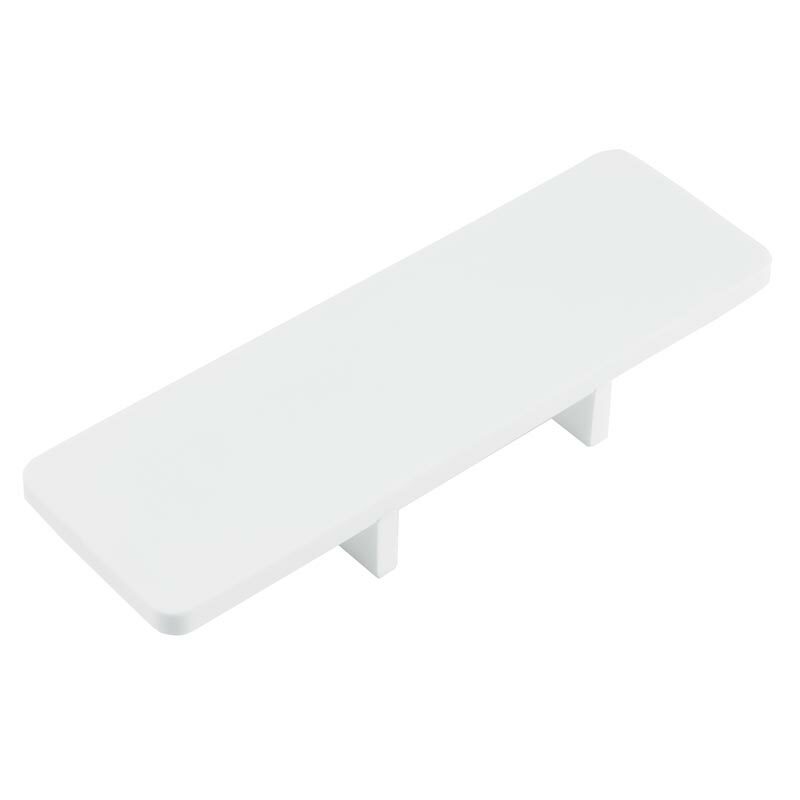 This can be fitted to either end of the rail. 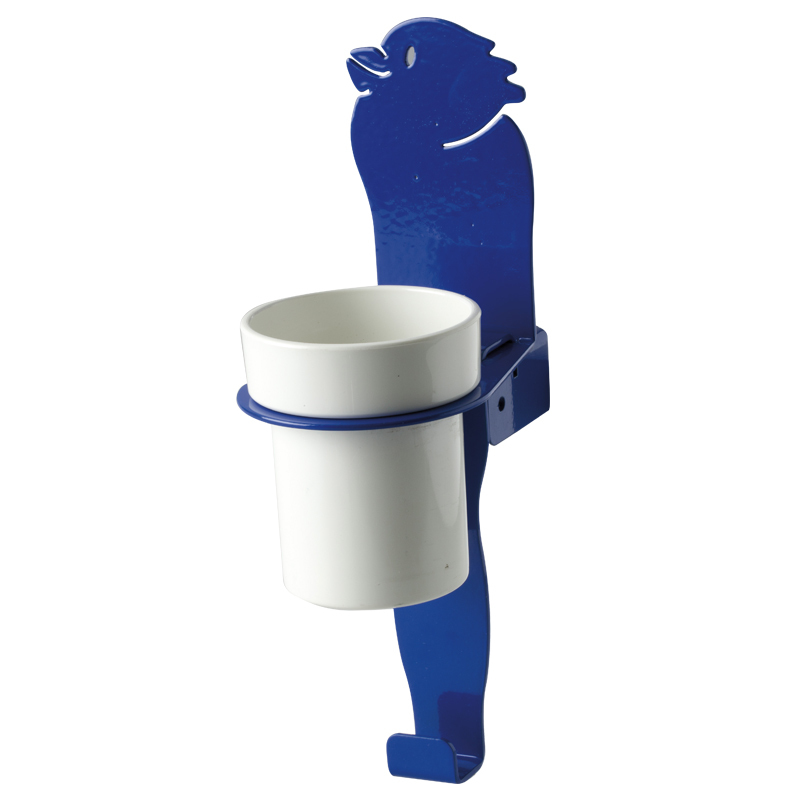 Family range toilet roll holder which slides along the grab rail also manufactured in steel and powdered coated and hold one toilet roll. 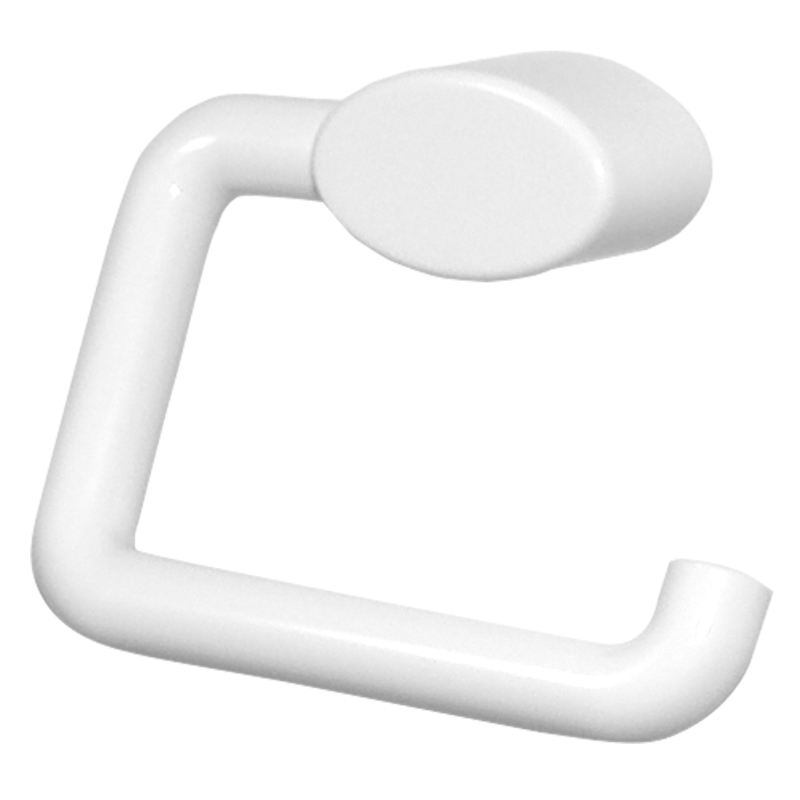 Towel and robe hook, This hook is multi-functional in use and can be slid on to the rail or screwed independently onto the wall. It’s all part of the “Family” line to complement the range. 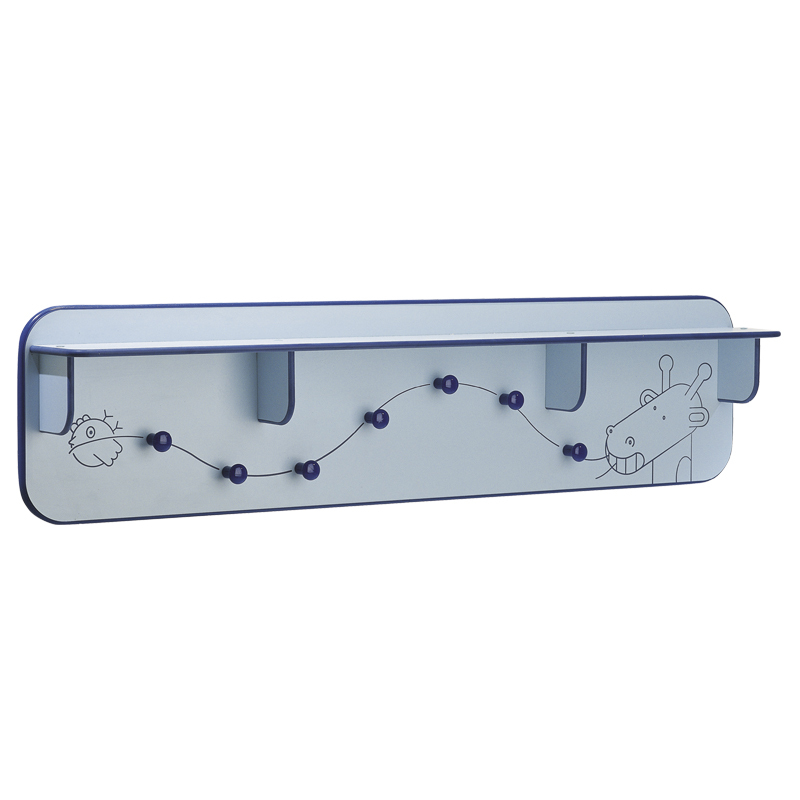 Multi-functional tray, Manufactured from powder coated steel this useful tray clips onto the rail and can be slid along the rail for ease of use. 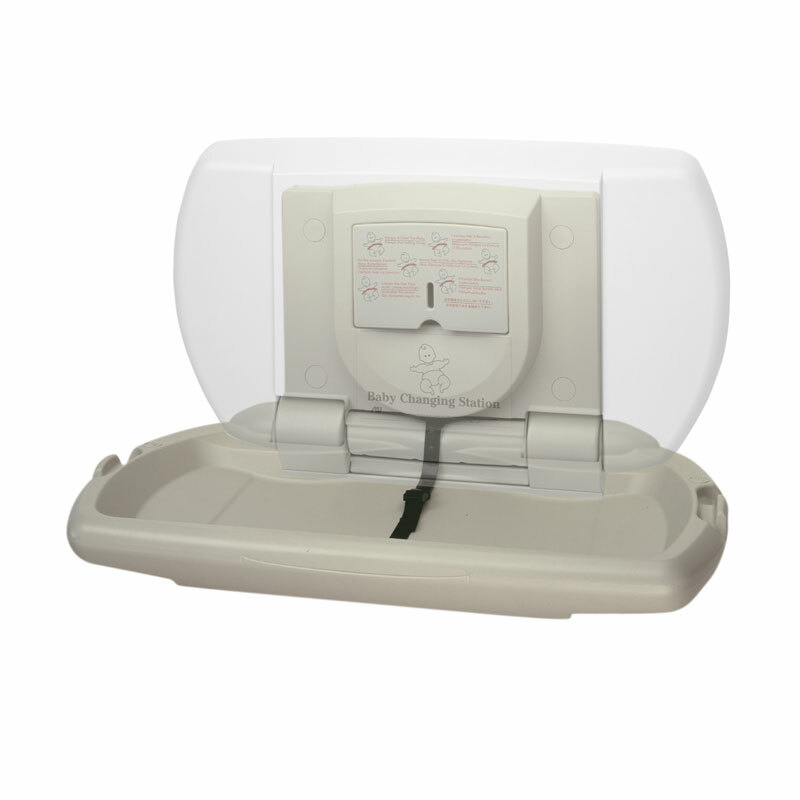 A very useful product for those who require a seating position to wash. 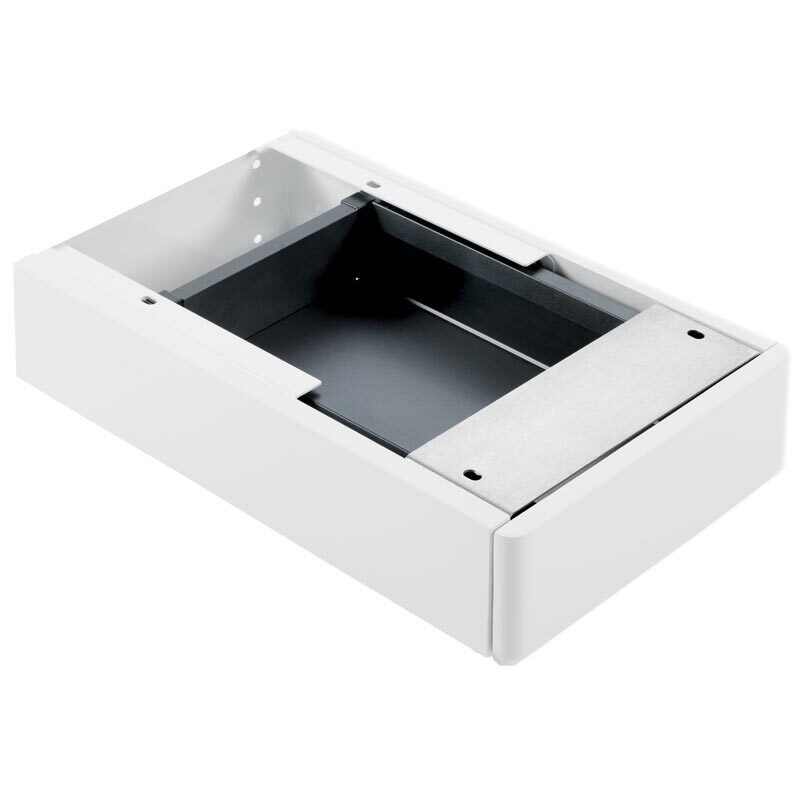 Box container for various items, in acrylic stone with stainless steel, satin finish, wall fixing support. 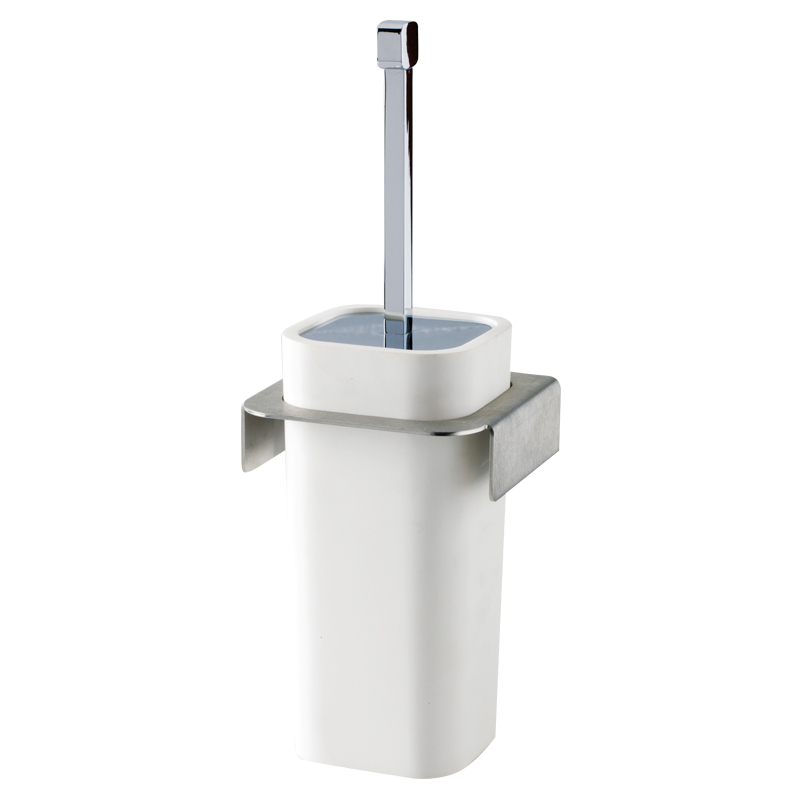 Toilet brush holder with a stainless steel bracket for wall fixing the acrylic stone holder to.The handle is made from brass and chrome plated. 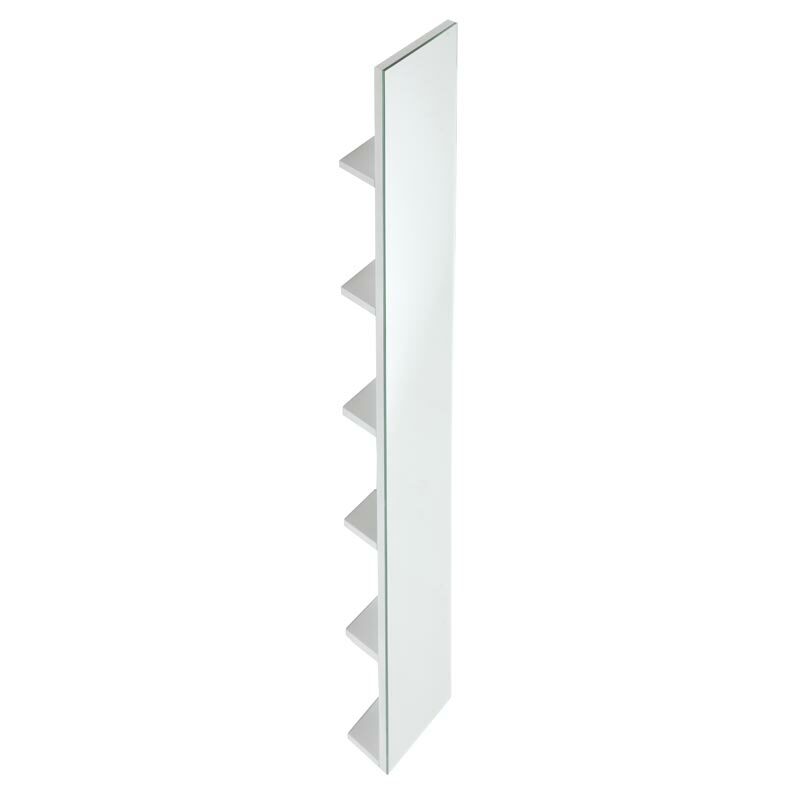 Acrylic stone shelf designed for wall fixing only, complete with stainless steel, satin finish, bracket. 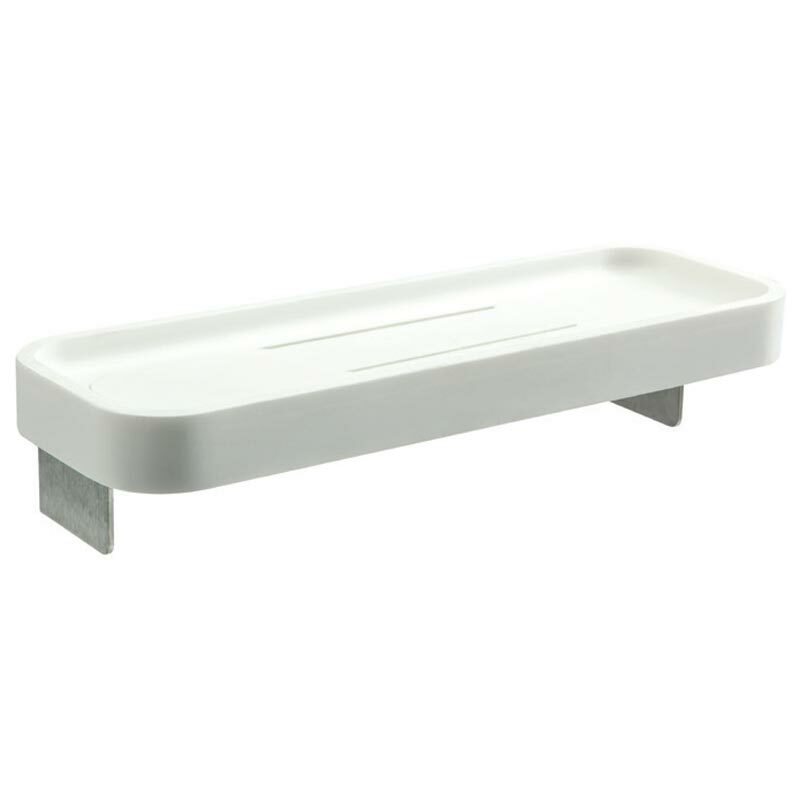 Tray, in acrylic stone, designed to clip onto the rail and can be easily slid along the rail for ease of use. 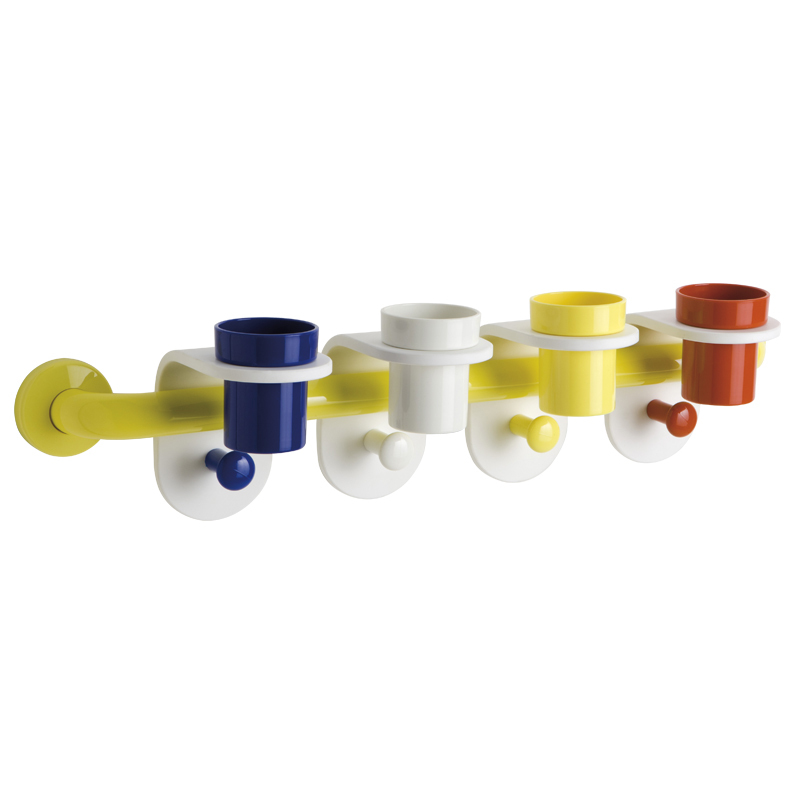 The showerhead holder is a universal fit for all Ponte Giulio grab rails and is easy to fit and use. Available in chrome finish only. 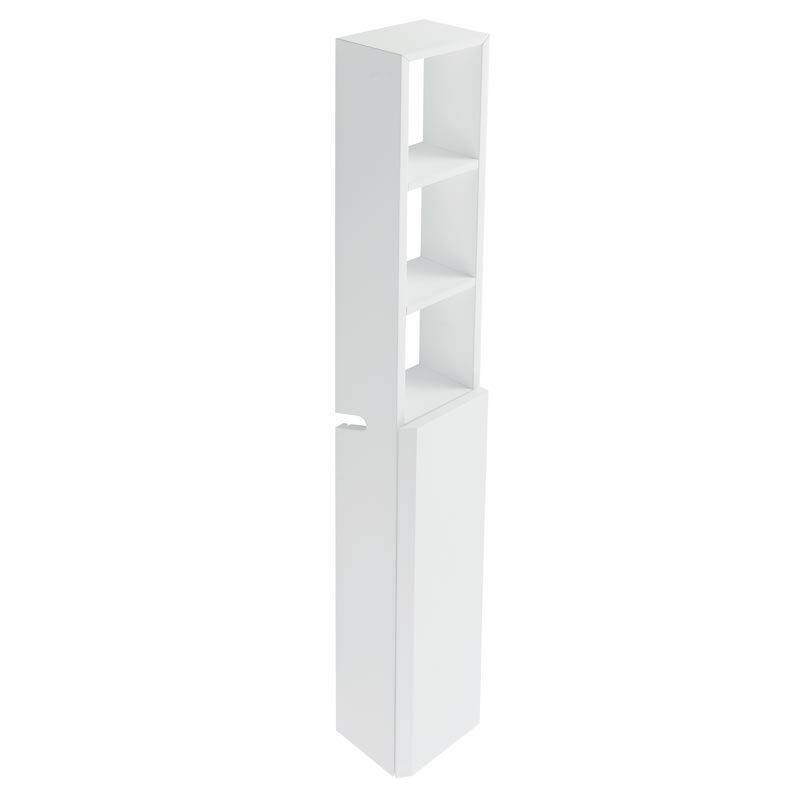 Shelf for throughout mirror having grab rail frame, width 720 mm, depth 162 mm, wall clearance 20 mm. 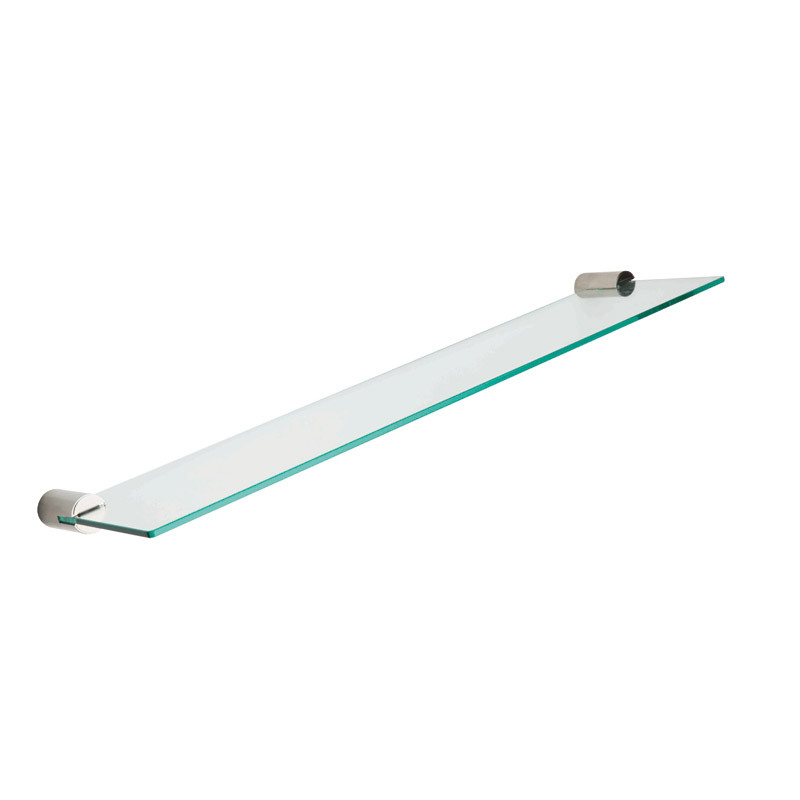 6 mm safety glass shelf. 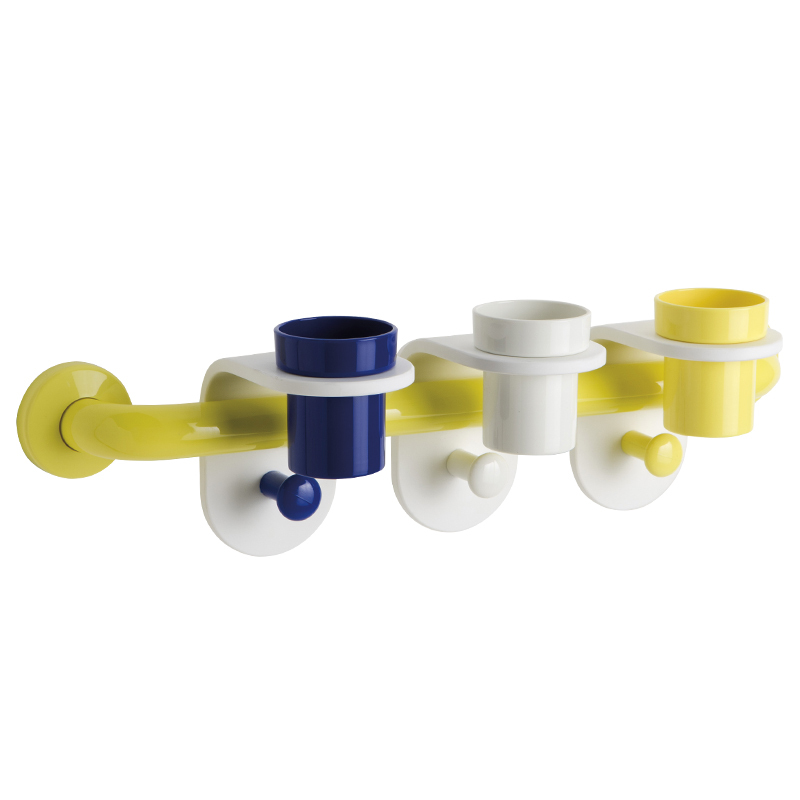 Concealed wall fixing kit by means of steel flange Ø 72 mm. 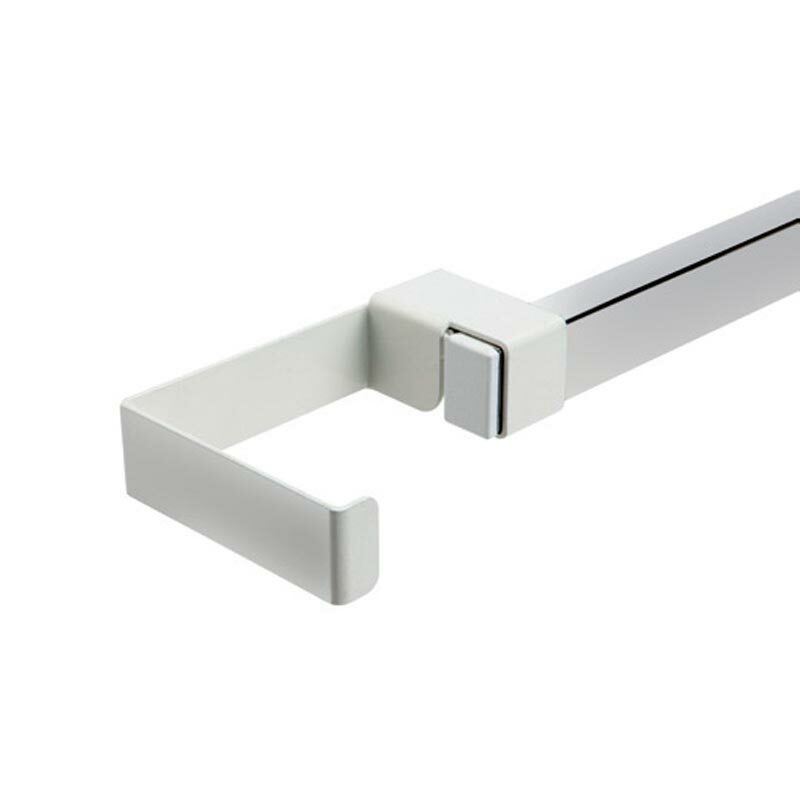 The frame is a grab rail Ø 33 mm fit for grapping, having active and long lasting antimicrobial protection based on silver ions. 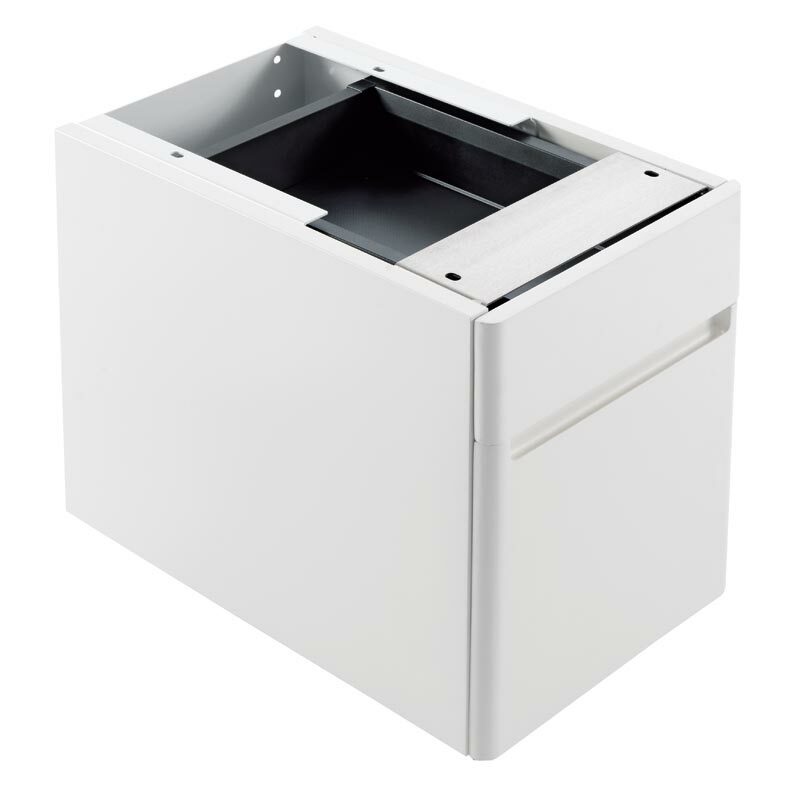 Portable box container with handle in Polymethylmetracrylate (PMMA) is conceived to easily carry bathroom items inside the building. Equipped with water outflow cuttings. 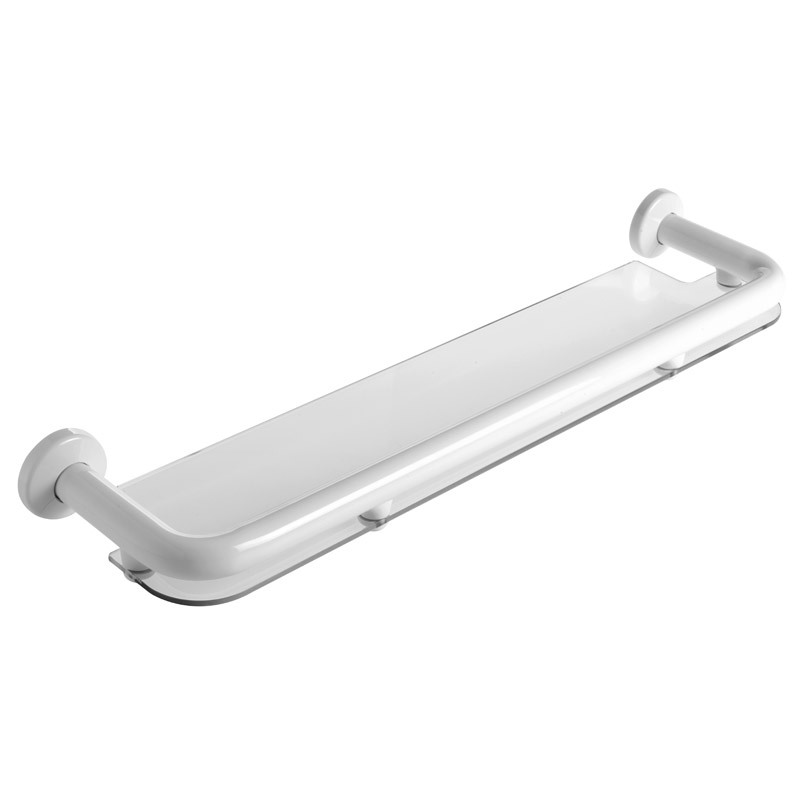 Folding shower splash guard grab rail, having dimension 850 mm, with stepless braking system, upper and lower position folding. 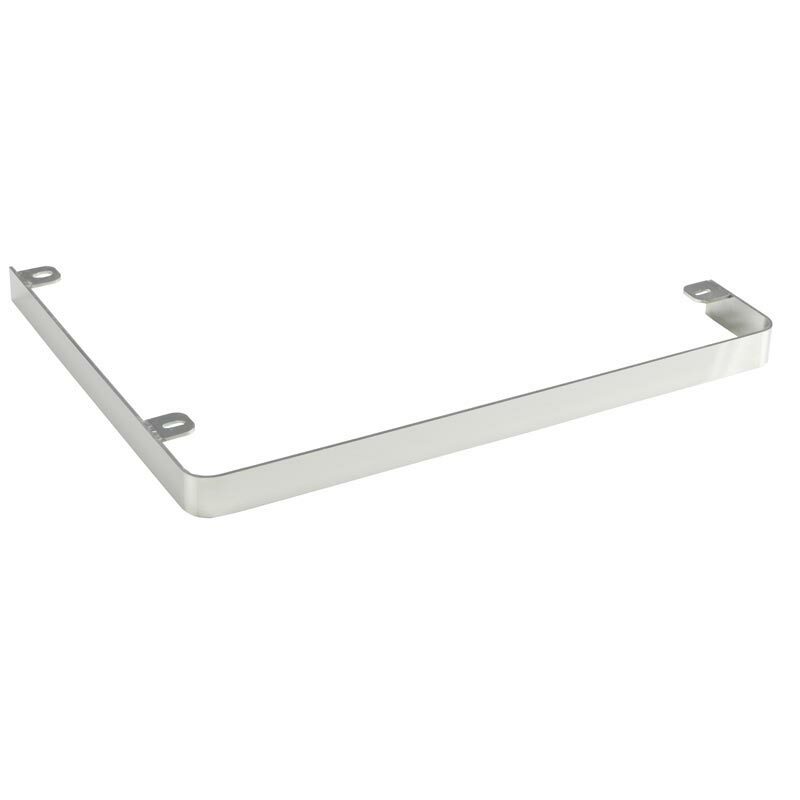 Concealed wall fixing plate in stainless steel with polyamide cover. 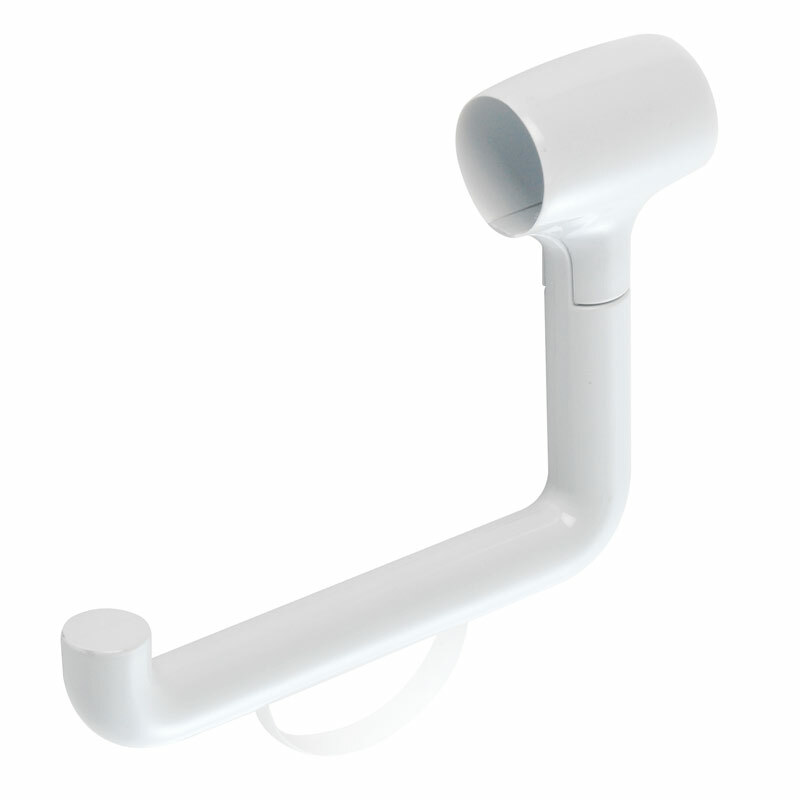 Grab rail Ø 33 mm with vinyl coating and zinc-plated steel internal tube. Antislip coating, no junctions. Active and long lasting antimicrobial protection based on silver ions. 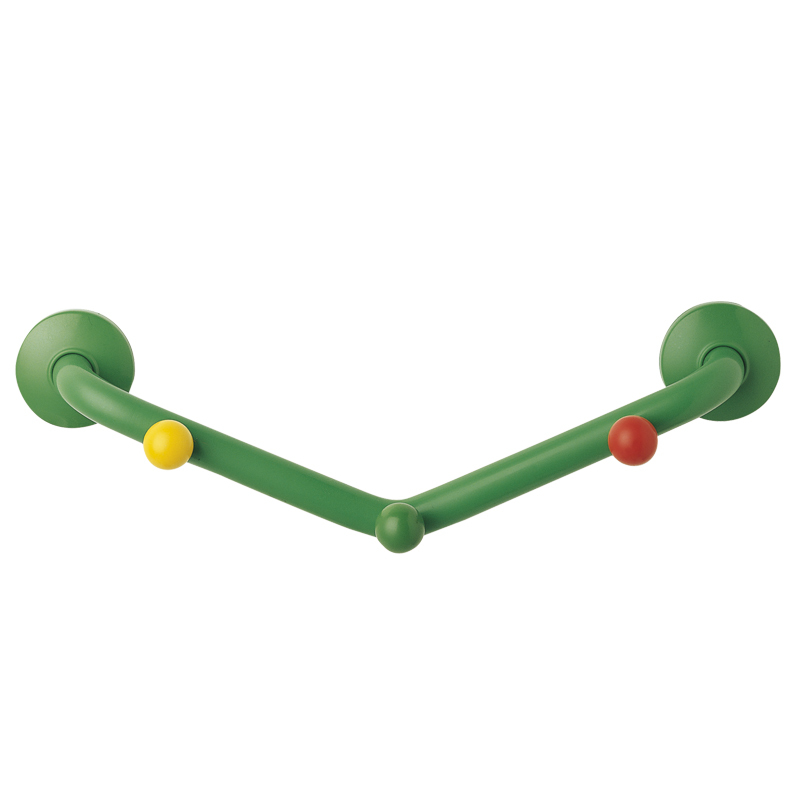 12 shower curtain rings in polyoxymethylene (POM) included. 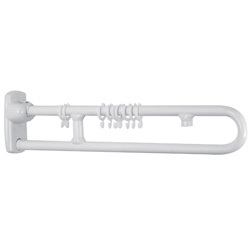 Folding shower splash guard rod. Dimension 800 x 370 mm. 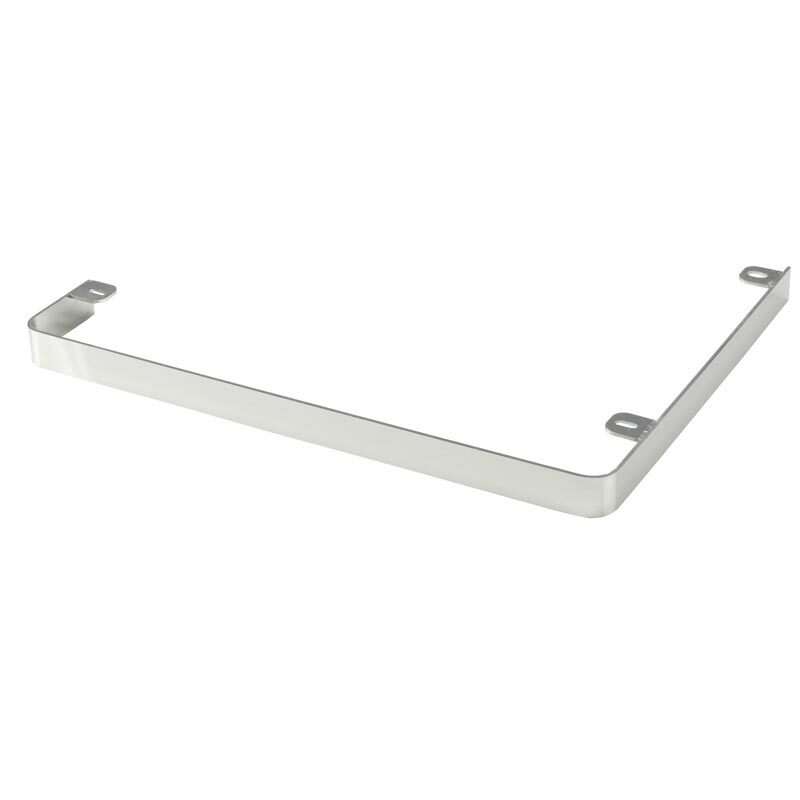 Concealed wall fixing plate in stainless steel with Nylon cover. 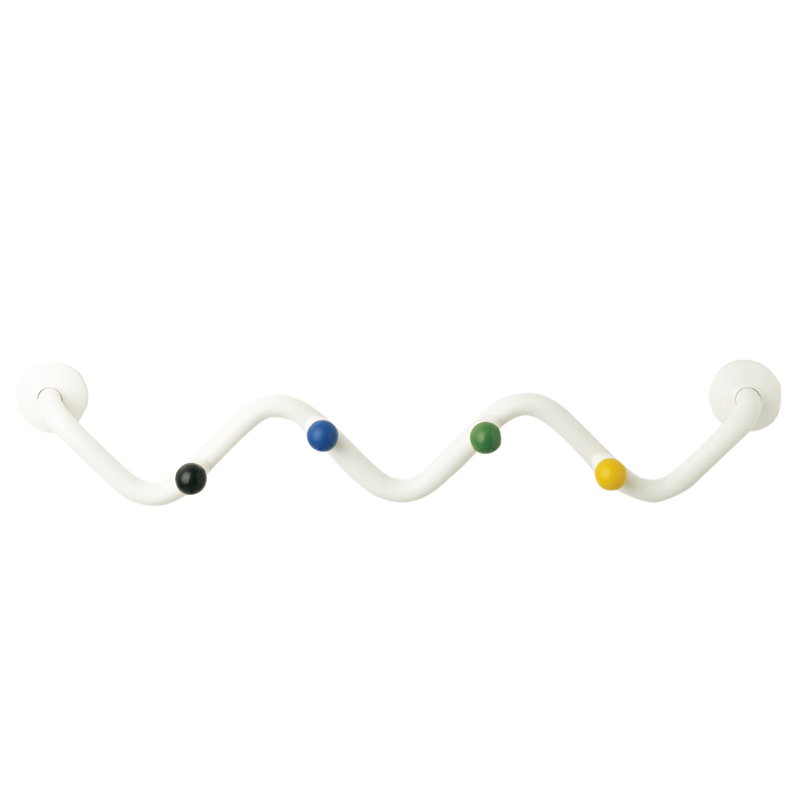 L-shaped steel, epoxy finish, rod complete with 9 shower curtain rings in polyoxymethylene (POM). 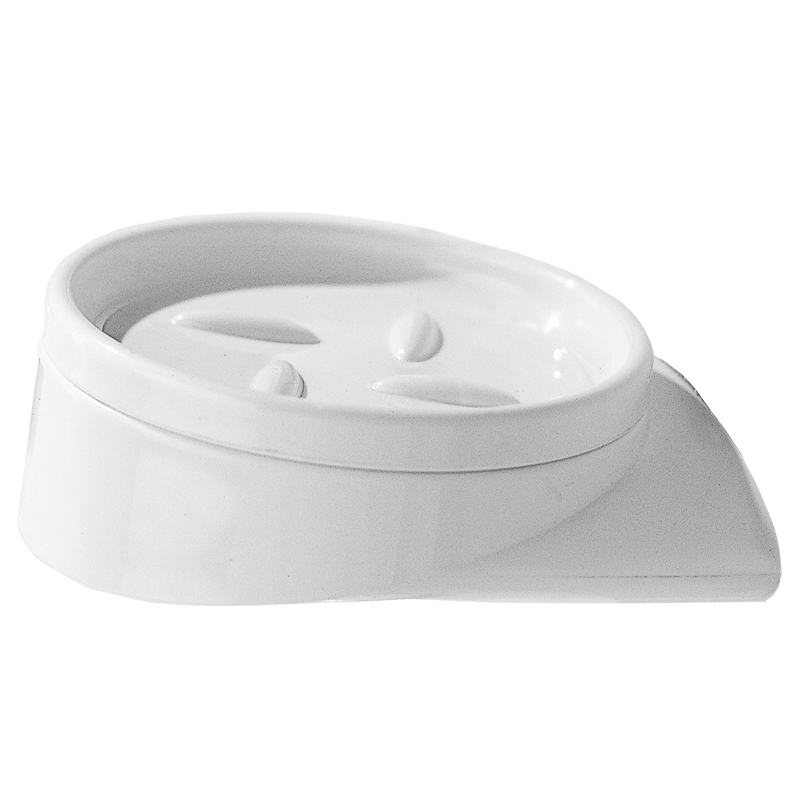 The foot rest is designed to assist in washing feet. 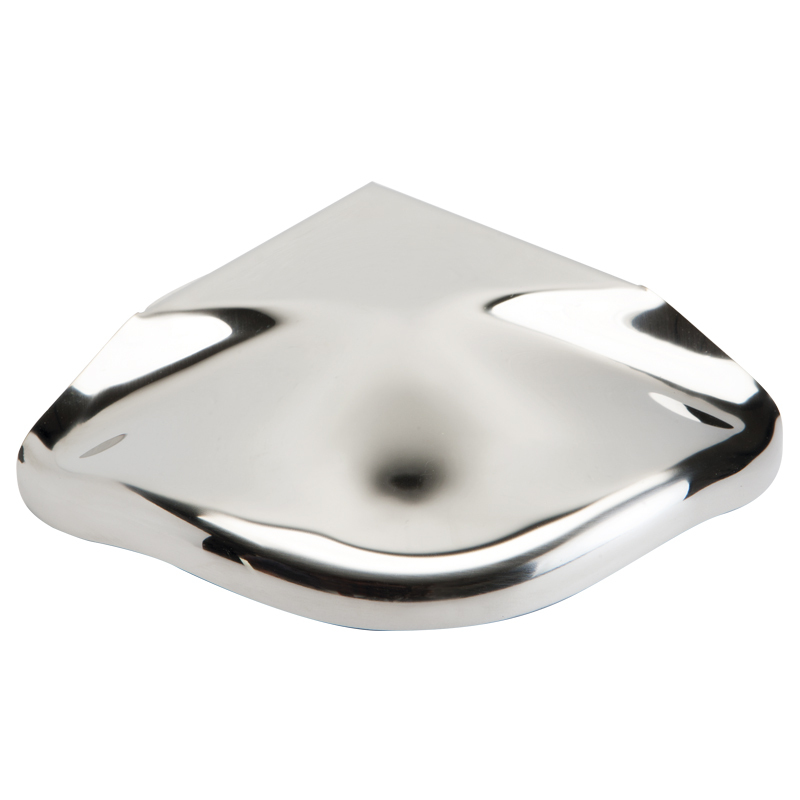 The foot rests are made of 18/8 (304) Stainless Steel with rolled edges. 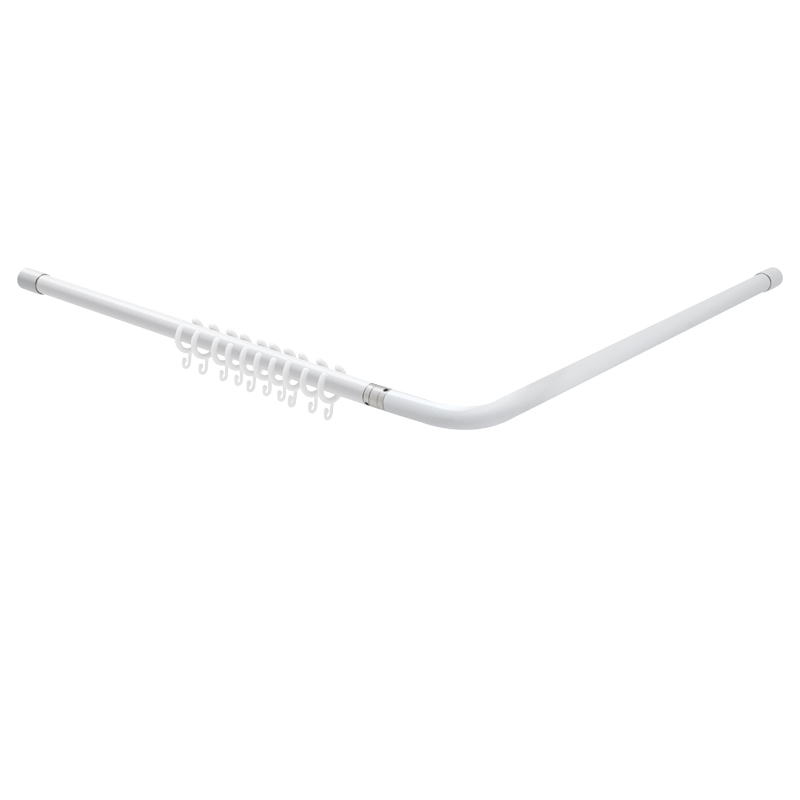 Flangeless straight shower curtain rail is manufactured of Ø 32x1,5 mm stainless steel AISI 304 tube and comes complete with curtain hooks. 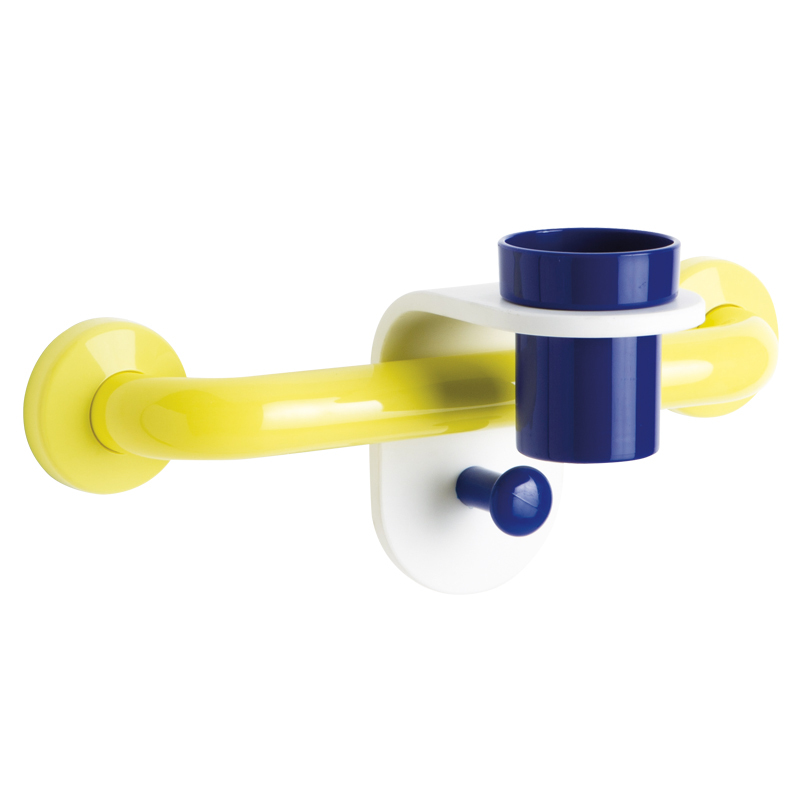 Installing the curtain rail is a cylinder system without seeing any screws, and adjusting the length of the rail can be achieved by using a pipe cutter or hacksaw. 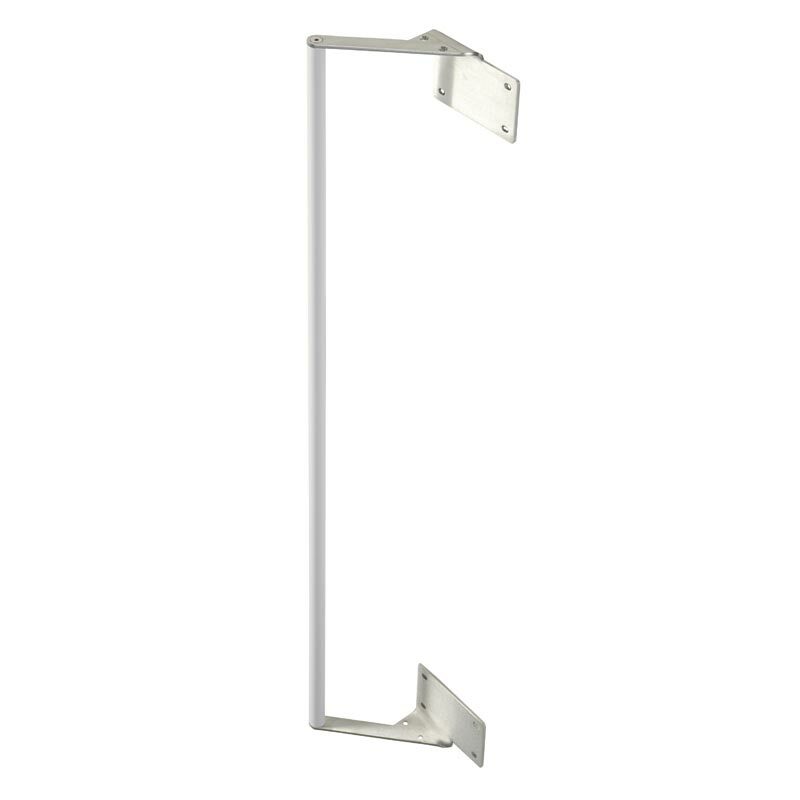 Flangeless "L shaped" shower curtain rail is manufactured of Ø 32x1,5 mm stainless steel AISI 304 tube and comes complete with curtain hooks. 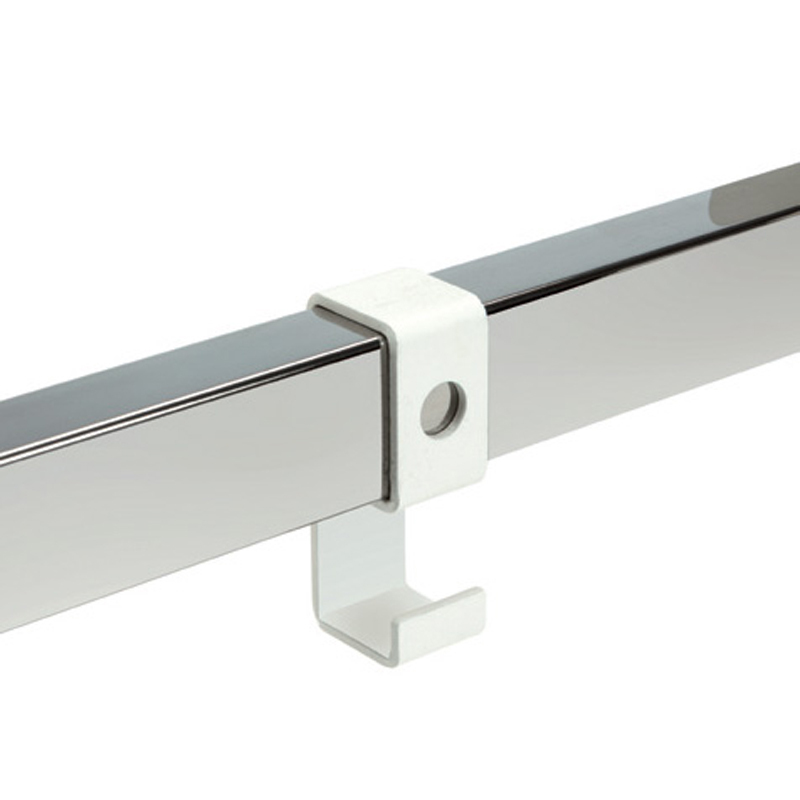 Installing the curtain rail is a cylinder system without seeing any screws, and adjusting the length of the rail can be achieved by using a pipe cutter or hacksaw. 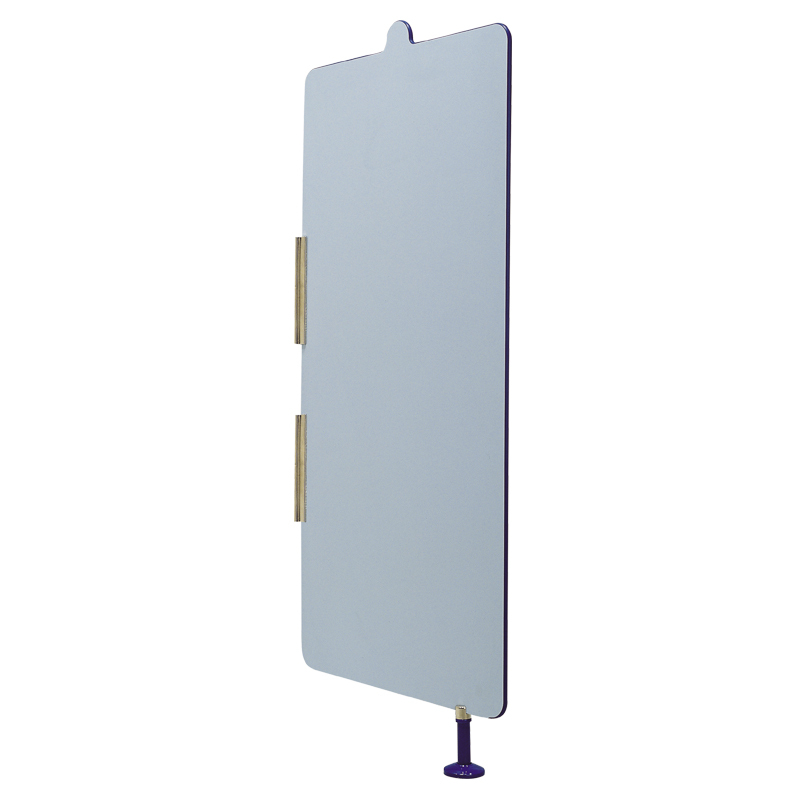 Giraffe neck-shaped HPL board, 12 mm thickness, with engraved decoration for height measurement of the children. The board is only in light blue colour with contrasting blue elements. Chipboard panel joined to a HPL panel with engraved decoration hooks and cup. Chipboard panel joined to a HPL panel with engraved decoration. 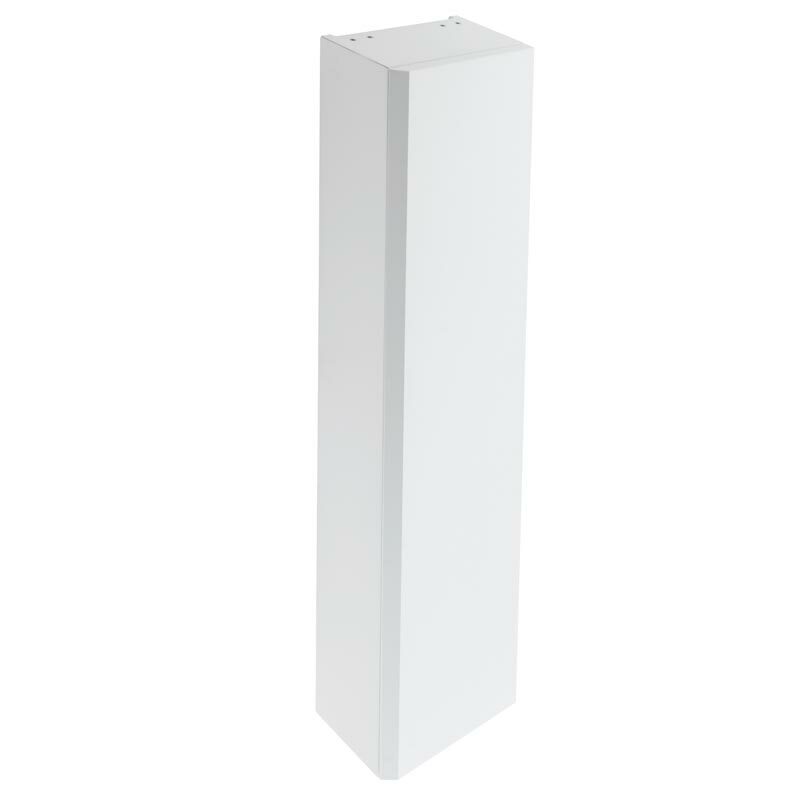 The external edge is covered with a soft vinyl profile. 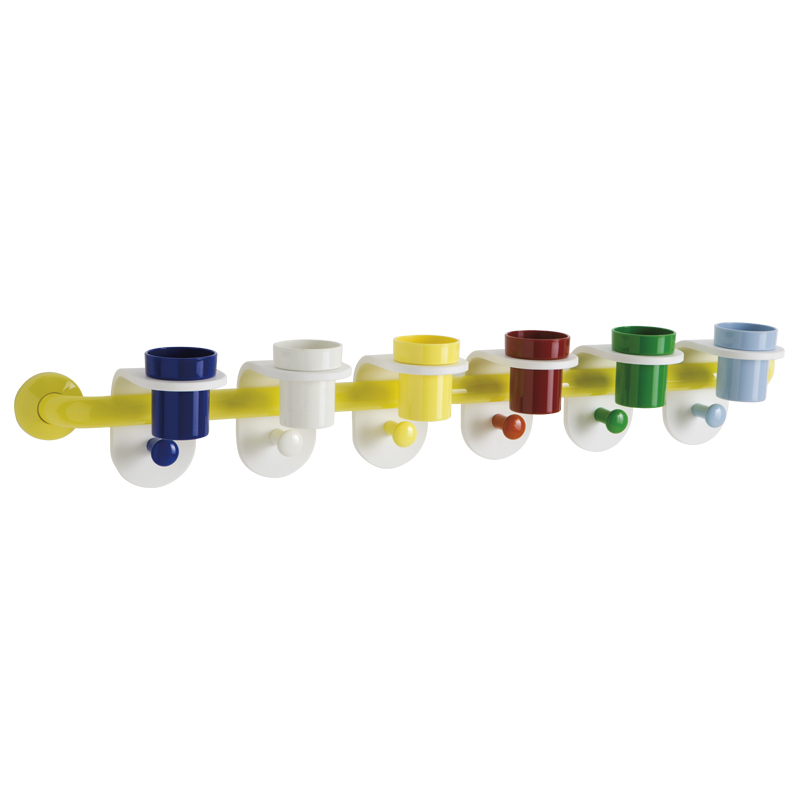 It is equipped with 9 polyammide-6 robe hooks and cup. The panel is only in light blue colour with contrasting blue elements. Chipboard panel joined to a HPL panel with engraved decoration. The external edge is covered with a soft vinyl profile. 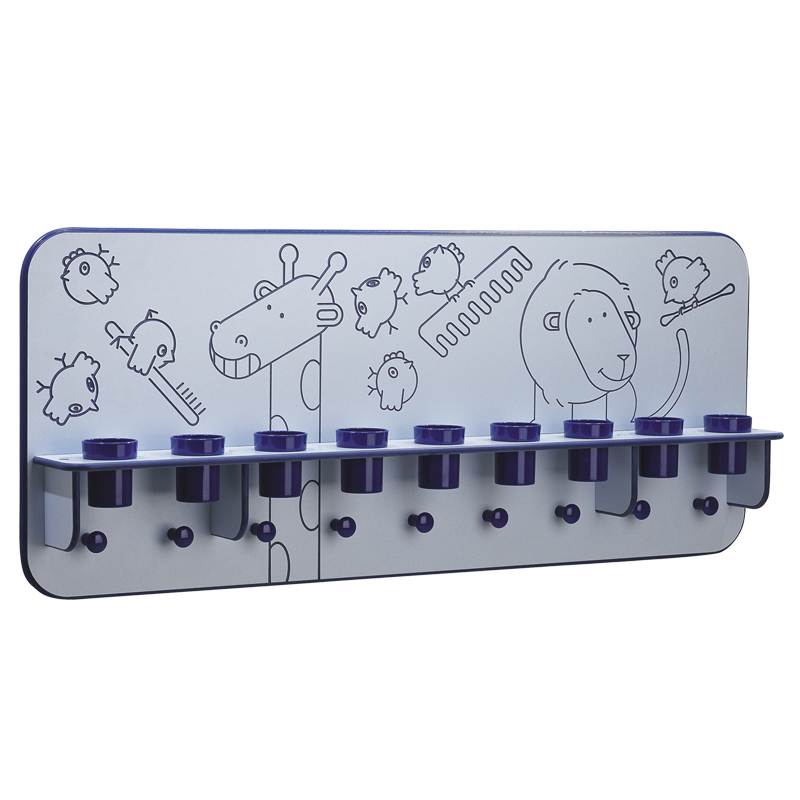 It is equipped with 7 polyammide-6 robe hooks. The panel is only in light blue colour with contrasting blue elements. 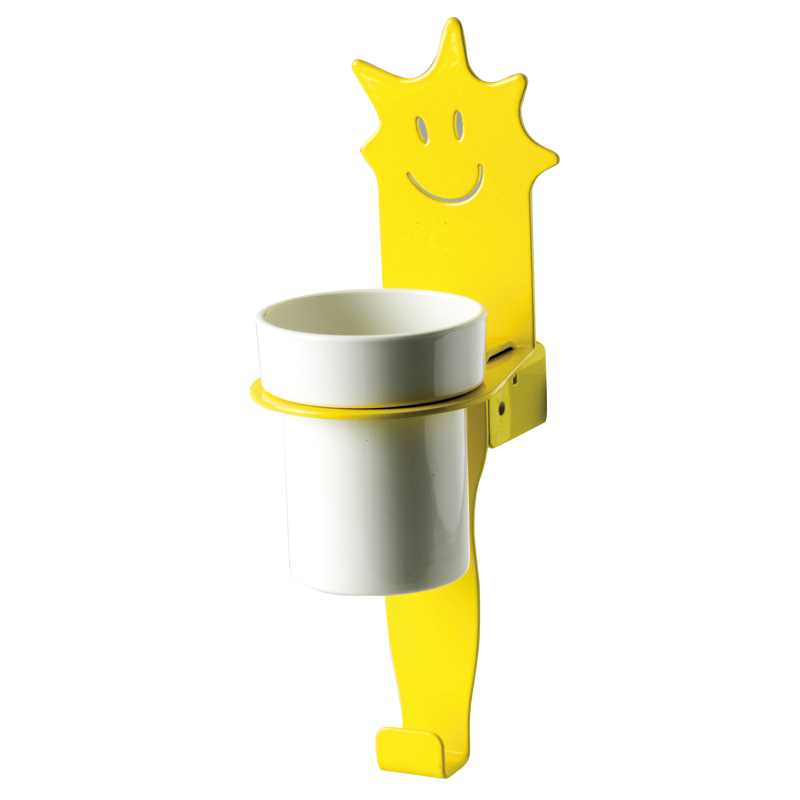 Cup holder module towel hook, "star" shape. The structure is made of epoxy powder painted steel, the cup is in polyammide-6. 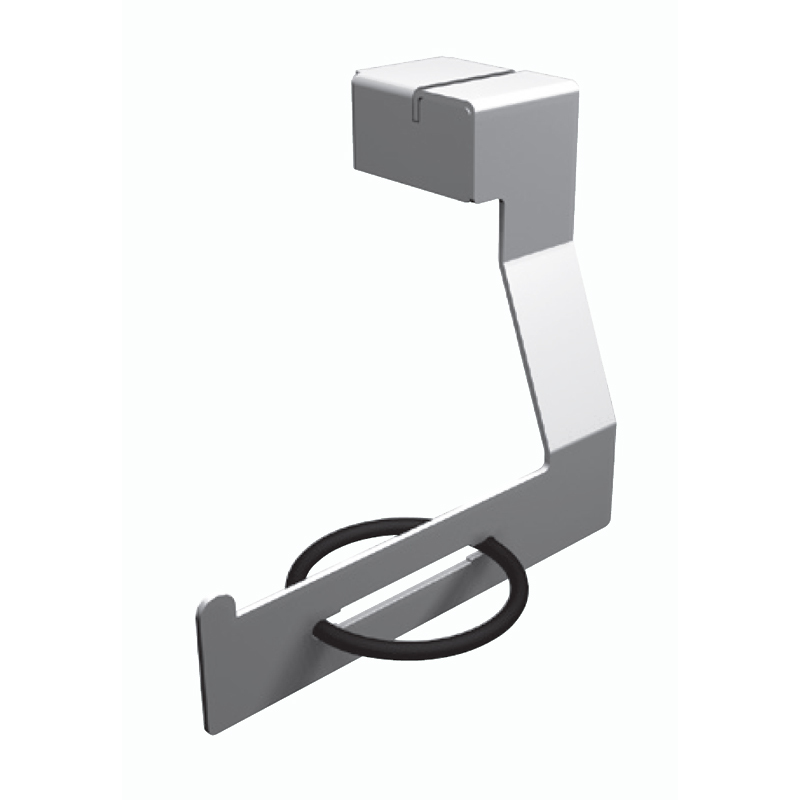 Cup holder module towel hook, "leaf" shape. The structure is made of epoxy powder painted steel, the cup is in polyammide-6. 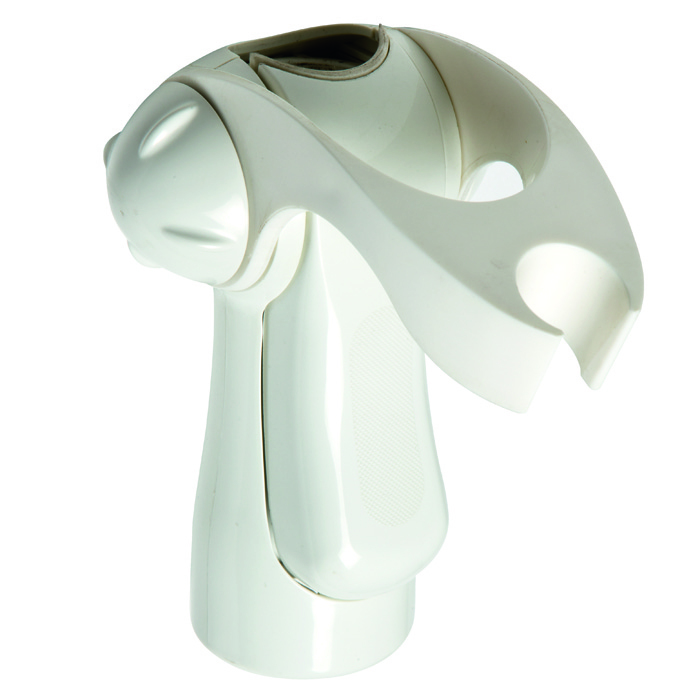 Cup holder module towel hook, "bird" shape. The structure is made of epoxy powder painted steel, the cup is in polyammide-6. 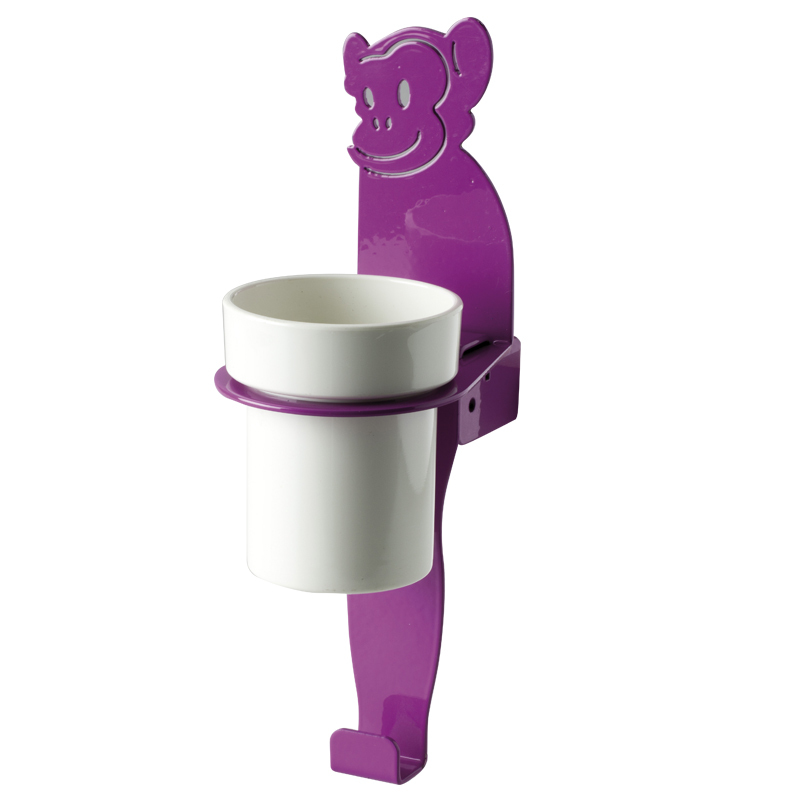 Cup holder module towel hook, "monkey" shape. The structure is made of epoxy powder painted steel, the cup is in polyammide-6. 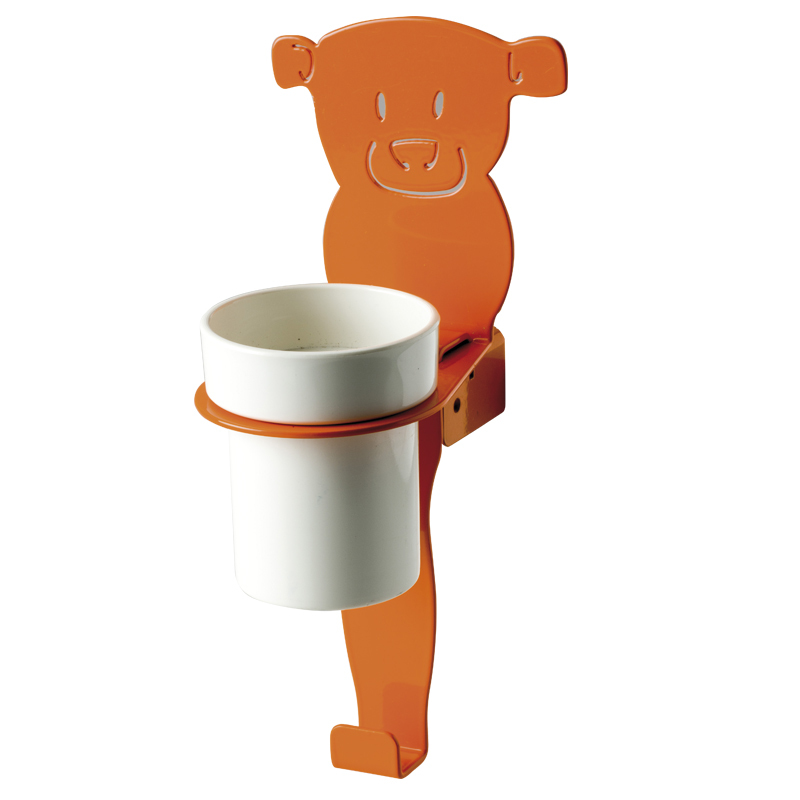 Cup holder module towel hook, "bear" shape. The structure is made of epoxy powder painted steel, the cup is in polyammide-6. 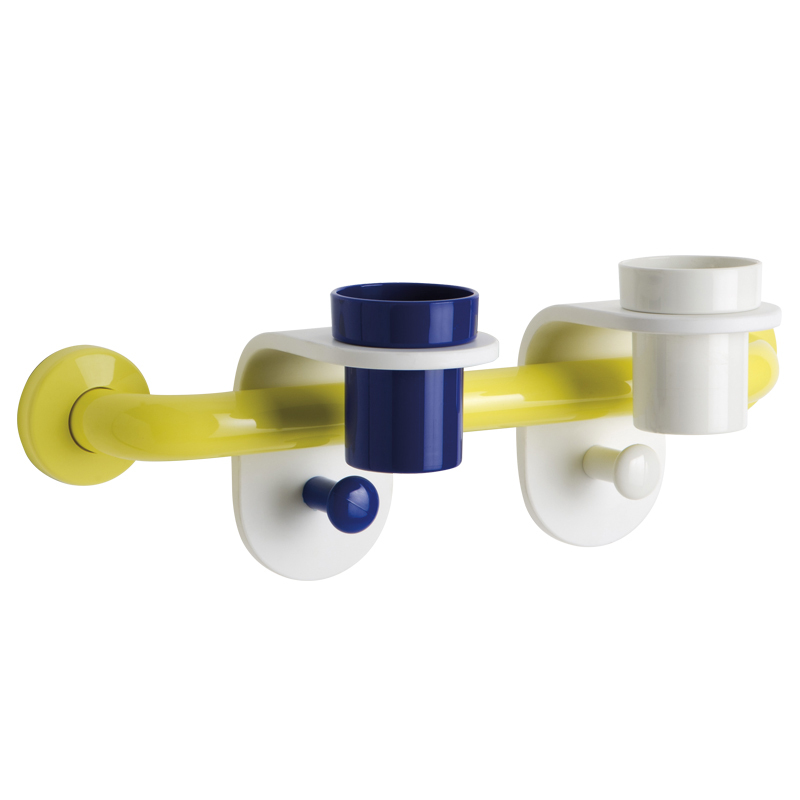 Bar with two cup holder modules equipped with robe hooks. 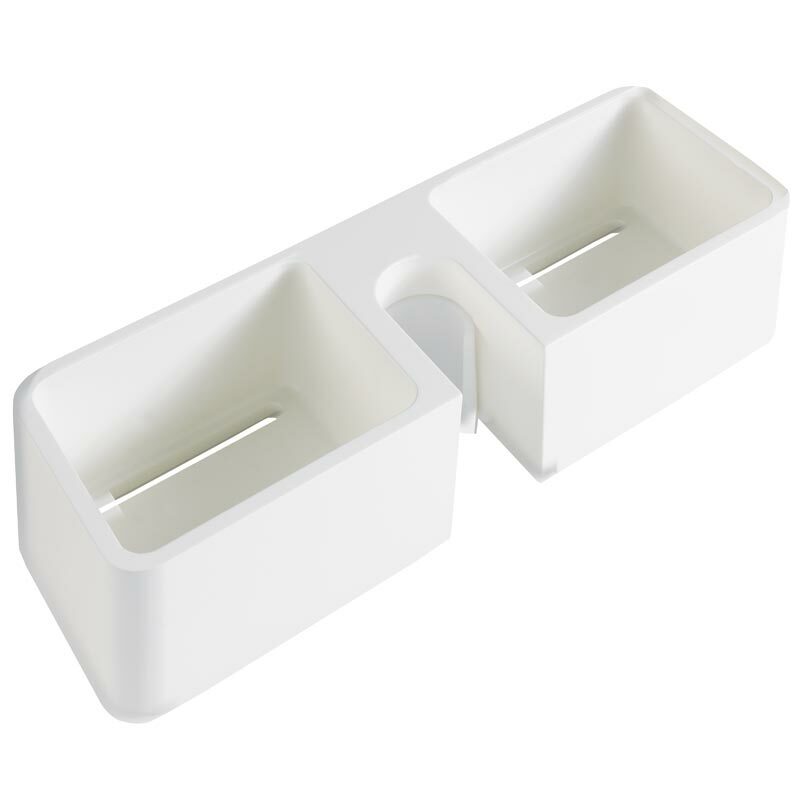 The bar is composed by one staight bar and two corner shaped end parts in epoxy powder painted aluminum. 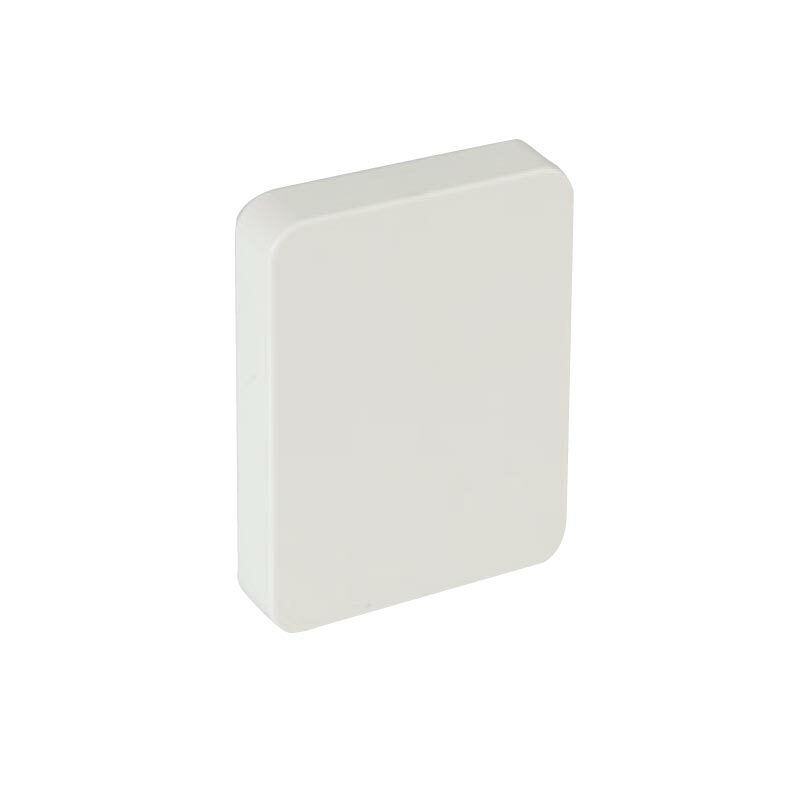 The bar size is 30 x 20 mm and 40 mm wall distance. 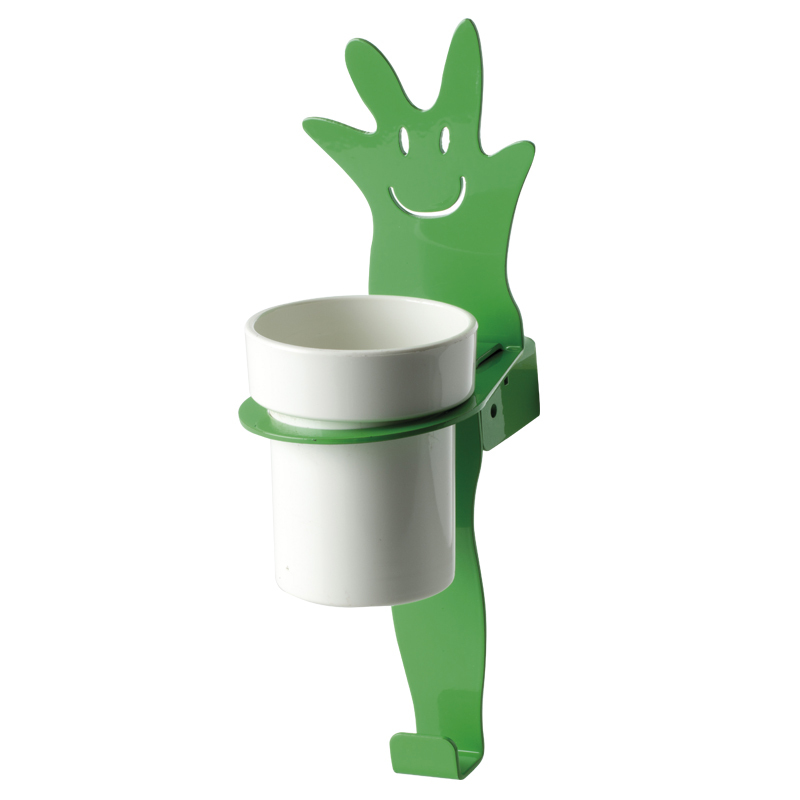 The cup holder modules have shapes recalling phytomorphic, zoomorphic or abstract figures. Each module is in epoxy powder painted steel, the cup is in polyammide-6. 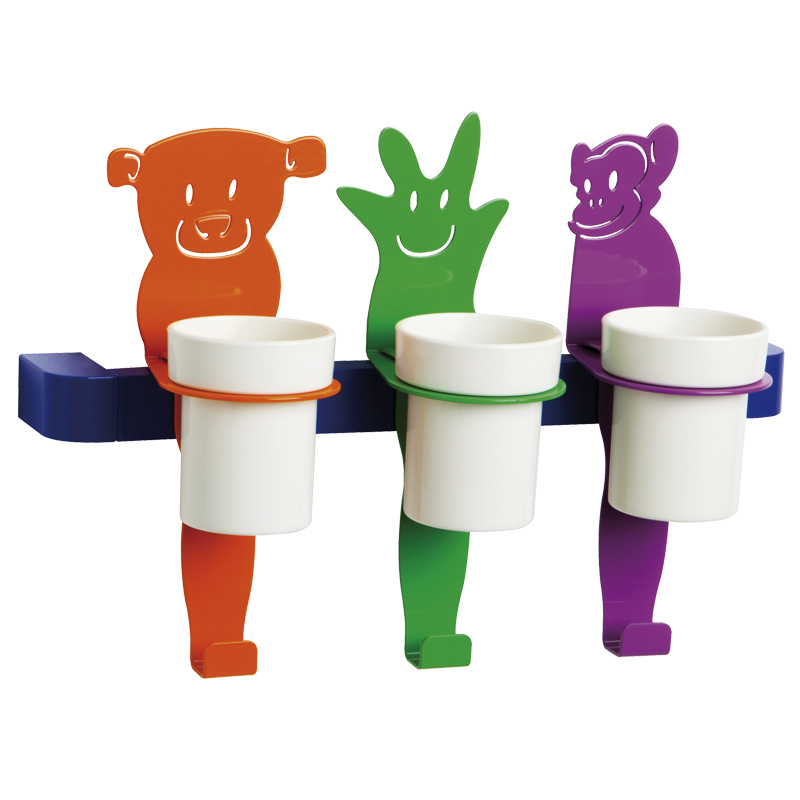 Bar with three cup holder modules equipped with robe hooks. The bar is composed by one staight bar and two corner shaped end parts in epoxy powder painted aluminum. The bar size is 30 x 20 mm and 40 mm wall distance. 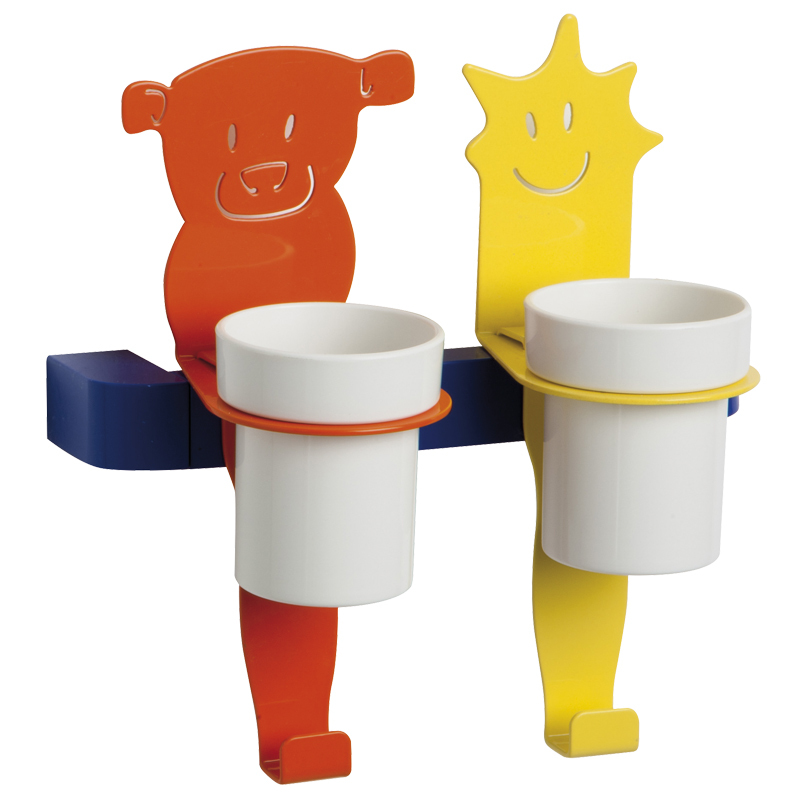 The cup holder modules have shapes recalling phytomorphic, zoomorphic or abstract figures. Each module is in epoxy powder painted steel, the cup is in polyammide-6. 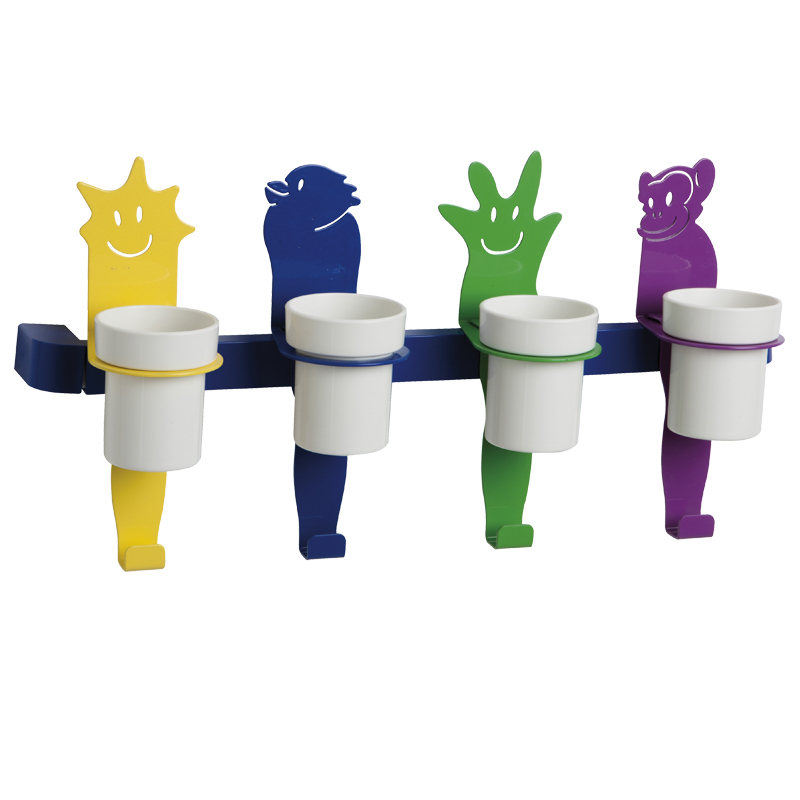 Bar with four cup holder modules equipped with robe hooks. 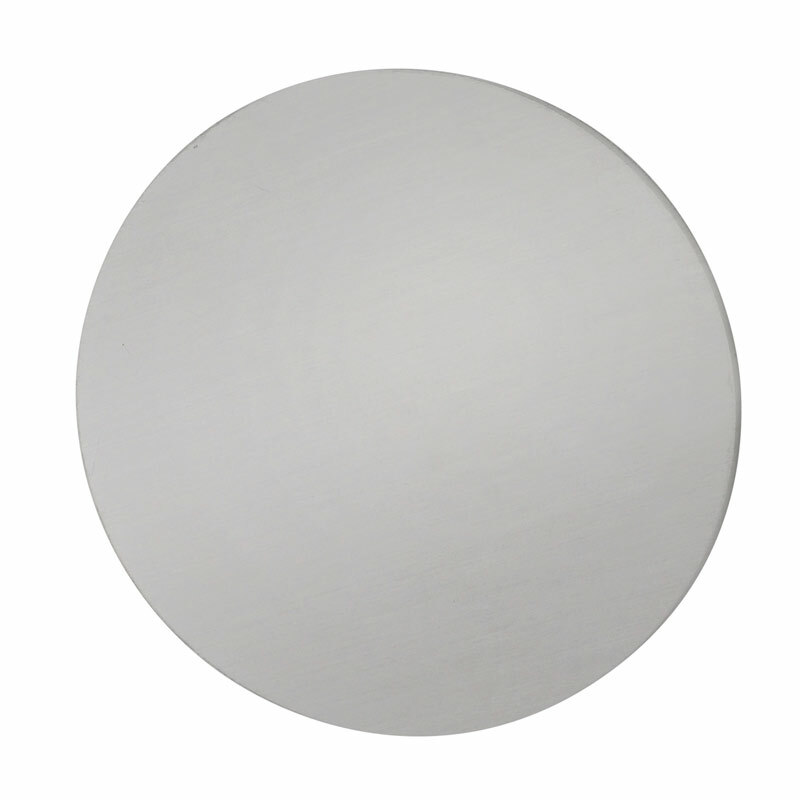 The bar is composed by one staight bar and two corner shaped end parts in epoxy powder painted aluminum. The bar size is 30 x 20 mm and 40 mm wall distance. 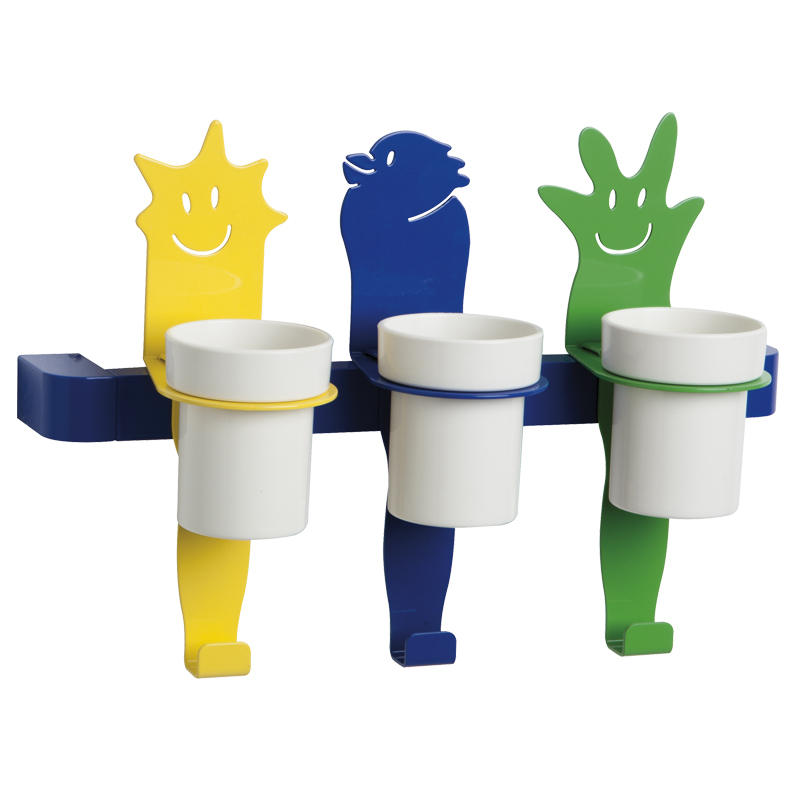 The cup holder modules have shapes recalling phytomorphic, zoomorphic or abstract figures. Each module is in epoxy powder painted steel, the cup is in polyammide-6. 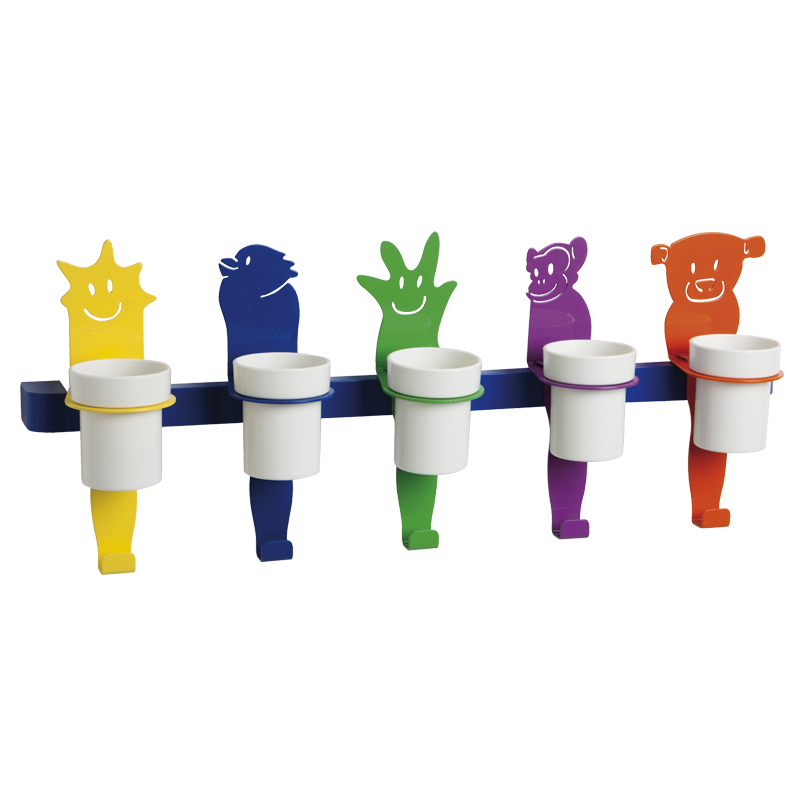 Bar with five cup holder modules equipped with robe hooks. 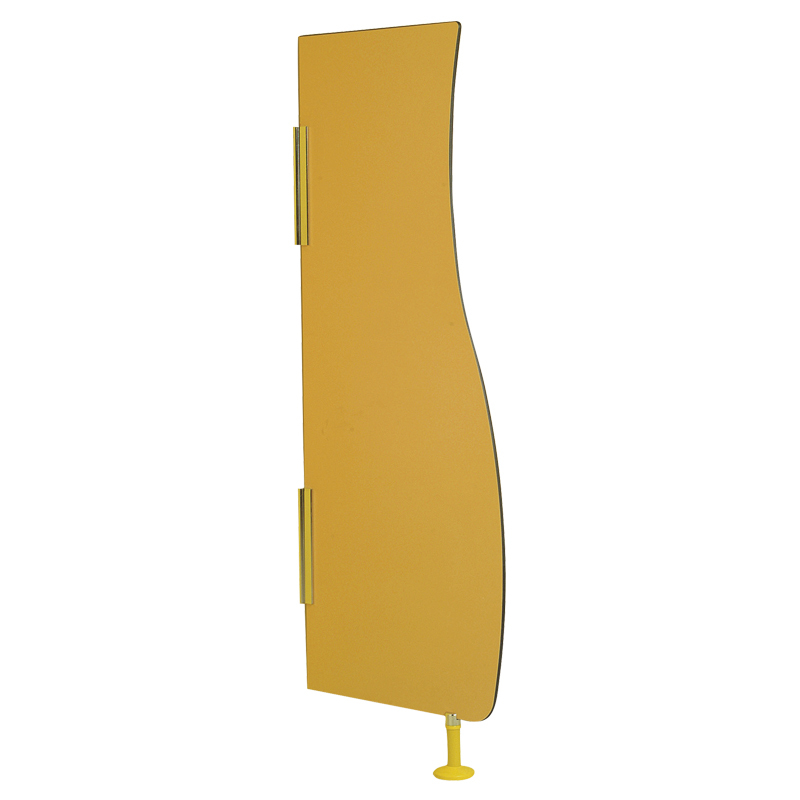 The bar is composed by one staight bar and two corner shaped end parts in epoxy powder painted aluminum. The bar size is 30 x 20 mm and 40 mm wall distance. 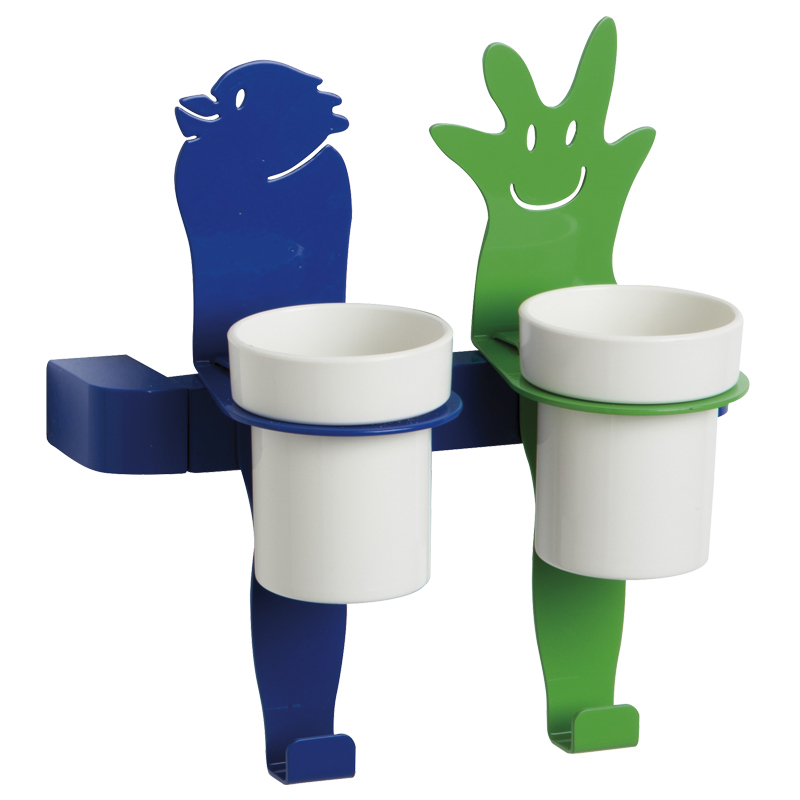 The cup holder modules have shapes recalling phytomorphic, zoomorphic or abstract figures. 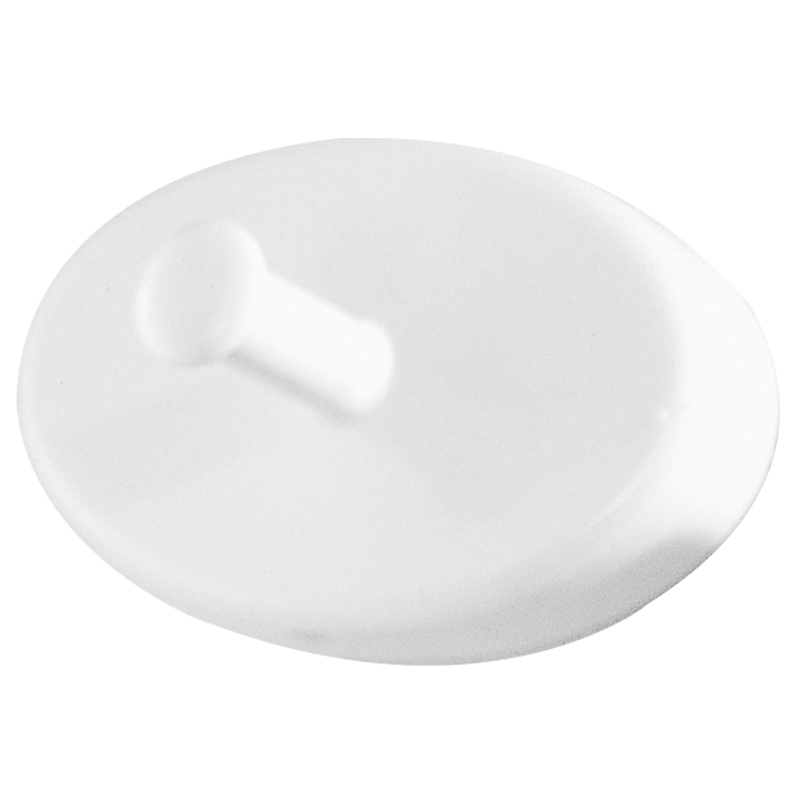 Each module is in epoxy powder painted steel, the cup is in polyammide-6. 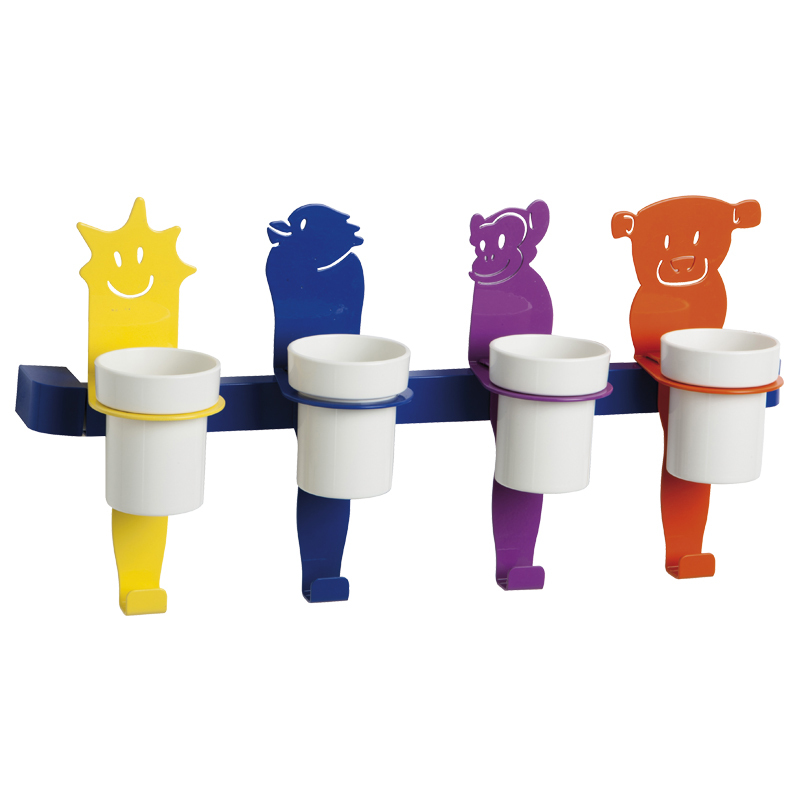 Bar with cup holder modules equipped with robe hooks. 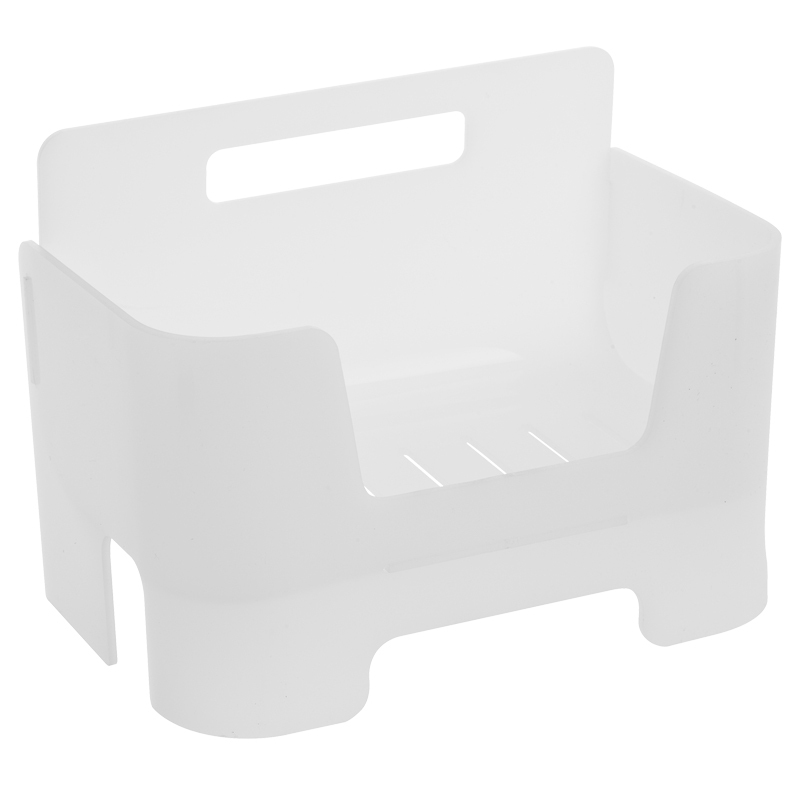 Bar with cup holder modules equipped with robe hooks. The bar is in galvanized steel coated with vinyl. The wall fixing kit is composed by steel flange, polyammide-6 counter-flange and polyammide-6 flange cover. 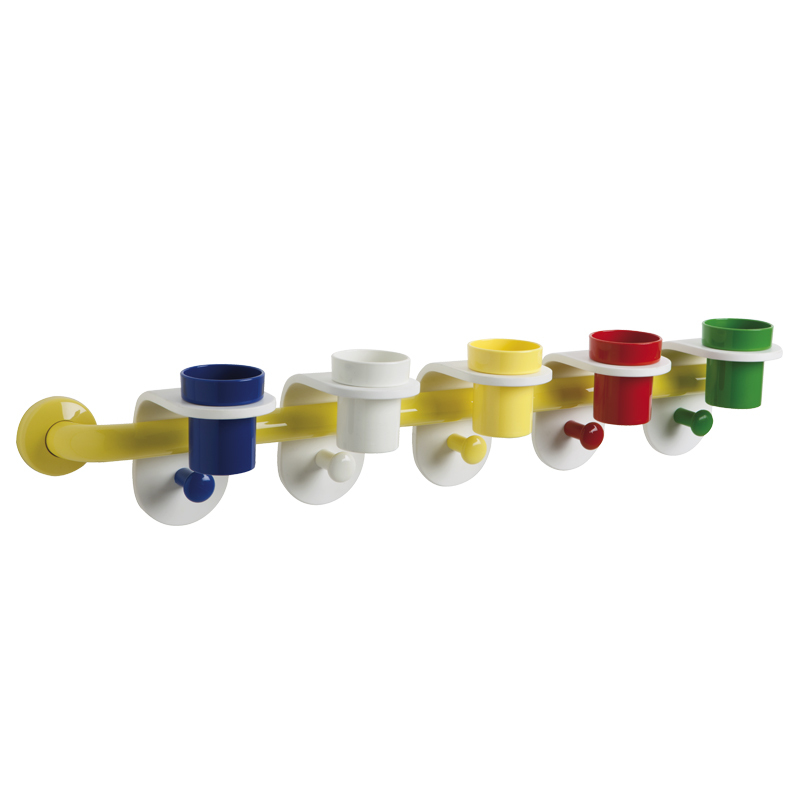 The cup holder modules with robe hooks, located at a distance of 80 mm one from the other, are in acrylic stone, the cups and hooks in polyammide-6. 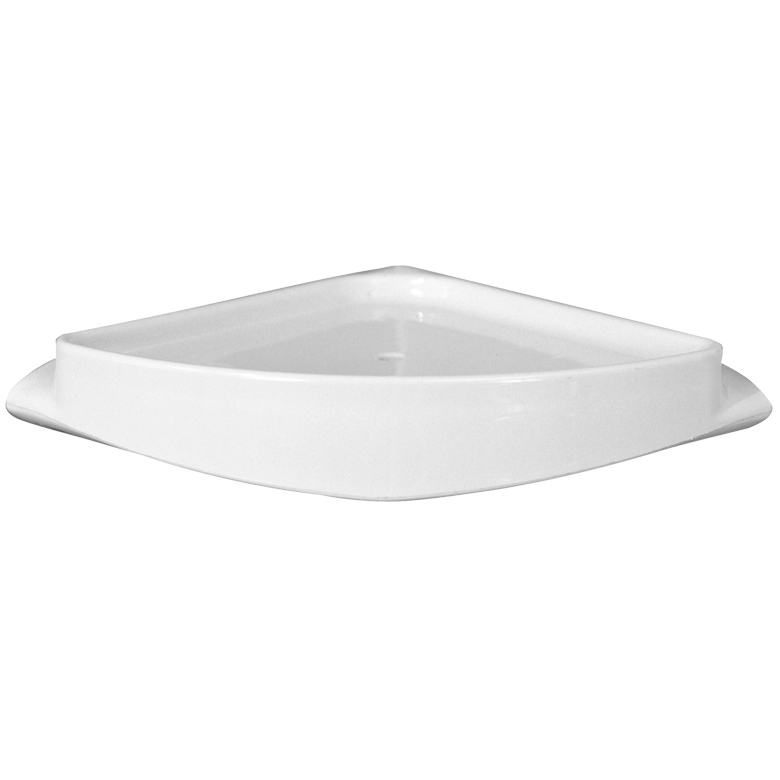 Wash basin top/baby changing unit white acrylic stone. 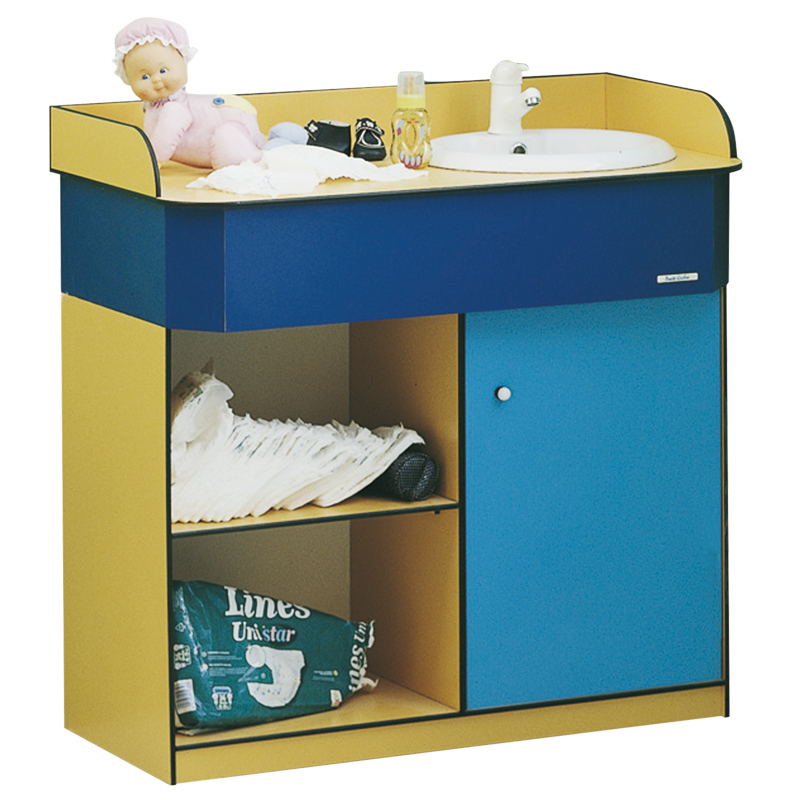 The combination of a wide top and a shallow basin gives this baby changing unit a peculiar inprint. 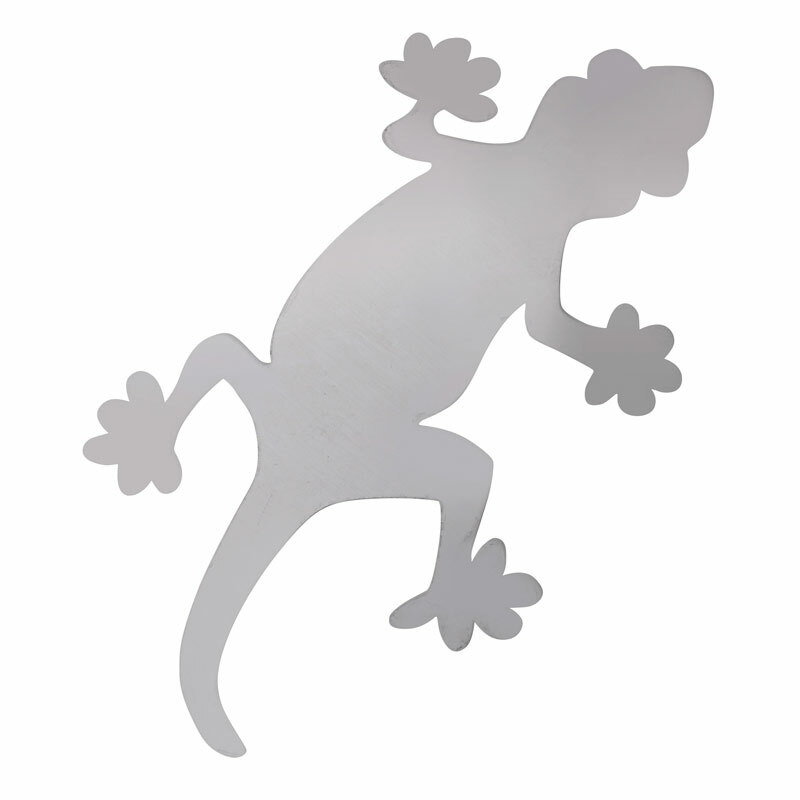 This article can be customised on request as far as sizes and shapes. The top has to be assembled on the wall in order to be connected to water supply and drain. 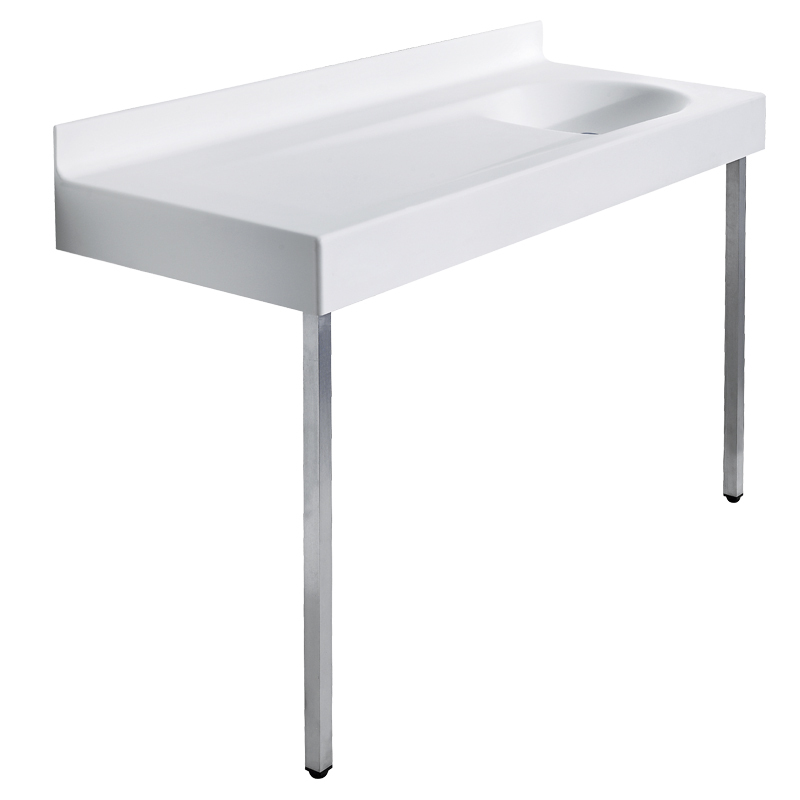 Wash basin top/baby changing unit white acrylic stone with supporting legs to the floor. 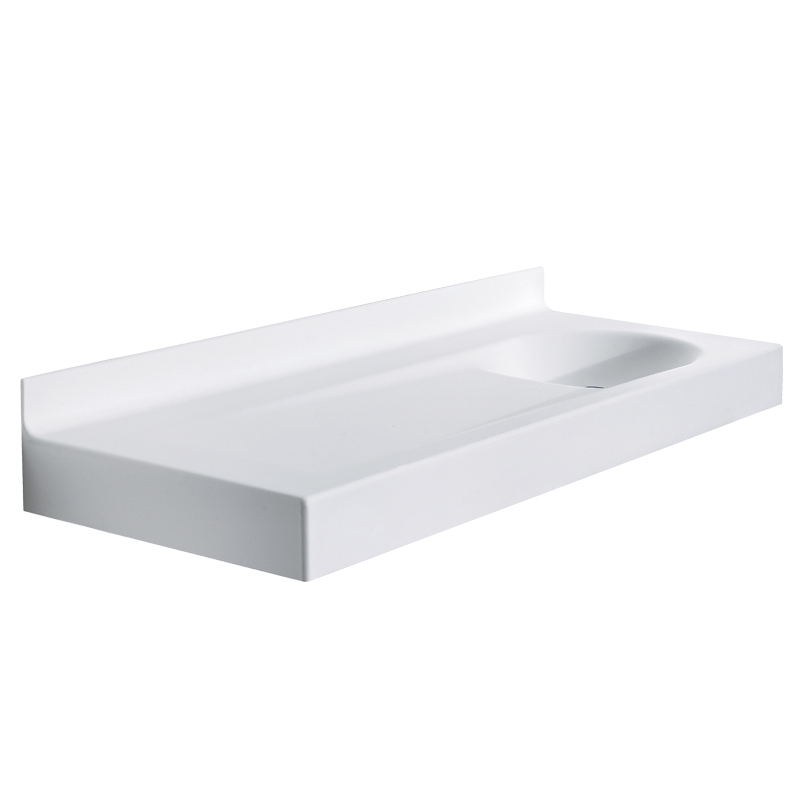 The combination of a wide top and a shallow basin gives this baby changing unit a peculiar inprint. This article can be customised on request as far as sizes and shapes. The top has to be assembled on the wall in order to be connected to water supply and drain. 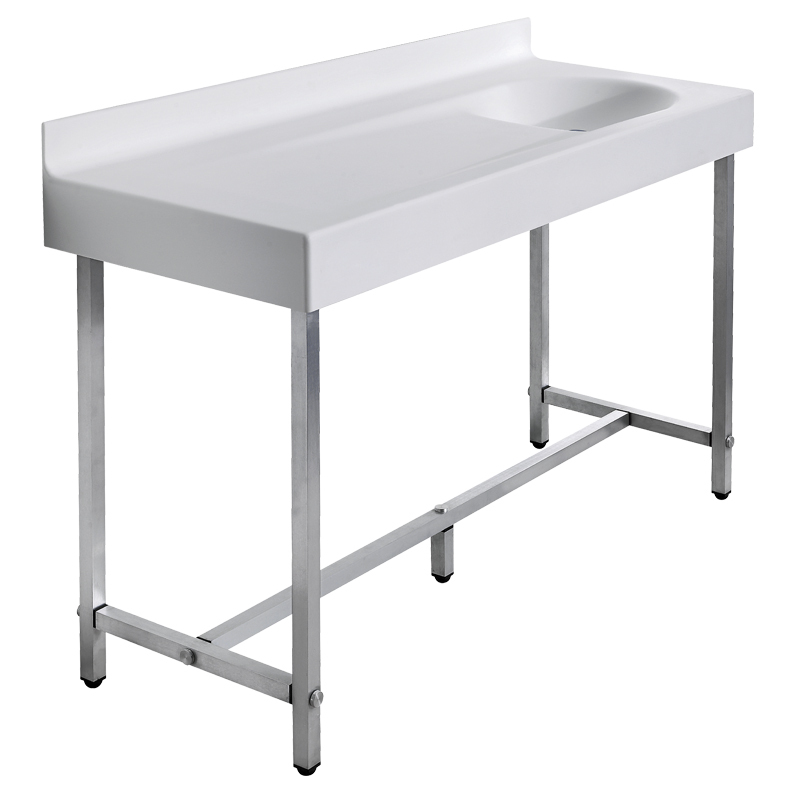 Wash basin top/baby changing unit white acrylic stone on freestanding structure. 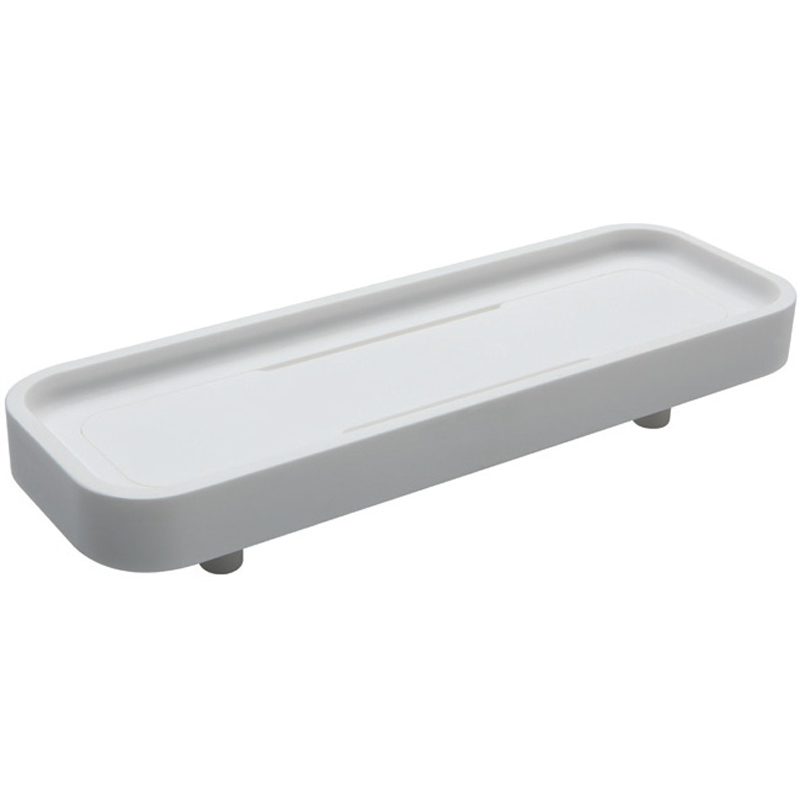 The combination of a wide top and a shallow basin gives this baby changing unit a peculiar inprint. 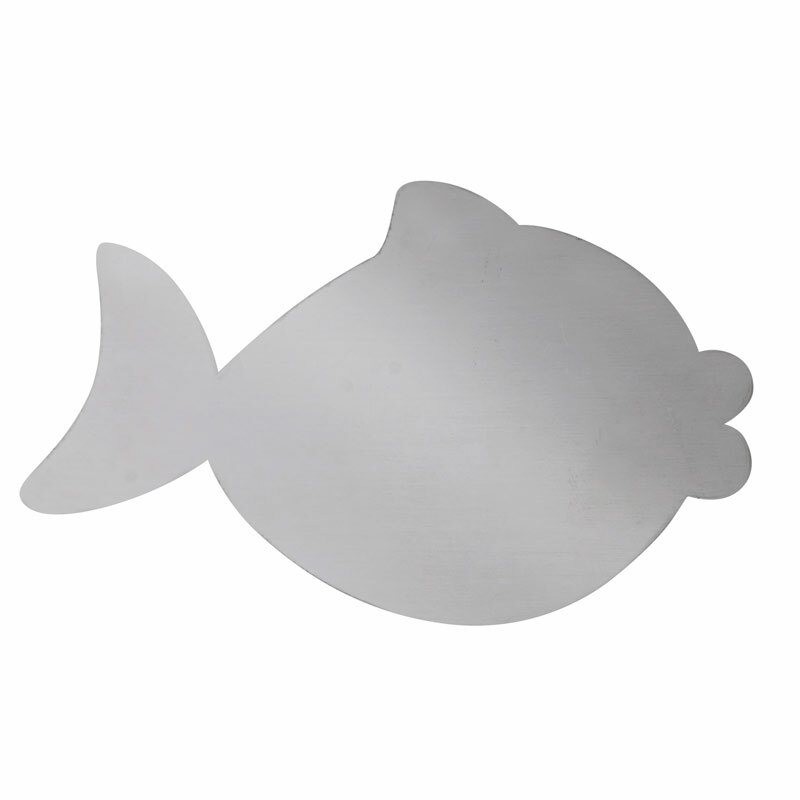 This article can be customised on request as far as sizes and shapes. The top has to be assembled on the wall in order to be connected to water supply and drain. 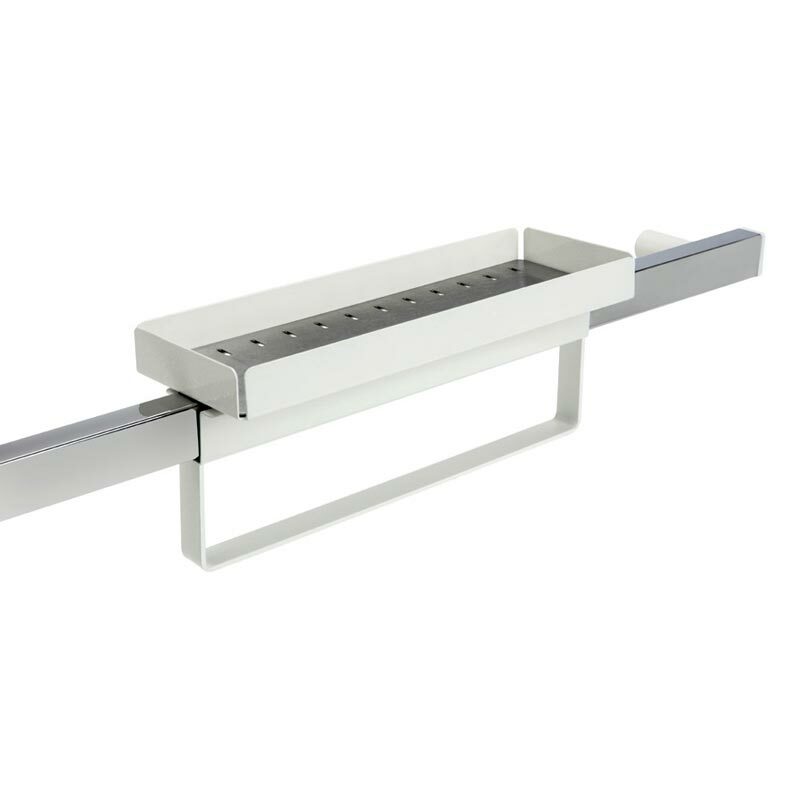 Acrylic stone shelf with integrated polished stainless steel wall bracket. 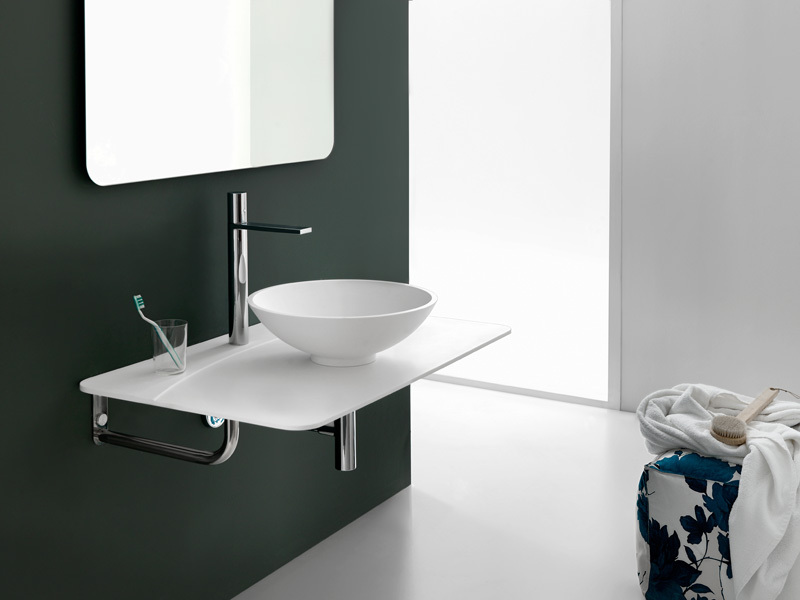 Acrylic stone shelf with integrated polished stainless steel towel rail and wall bracket. Acrylic stone under sink towel holder shelf. 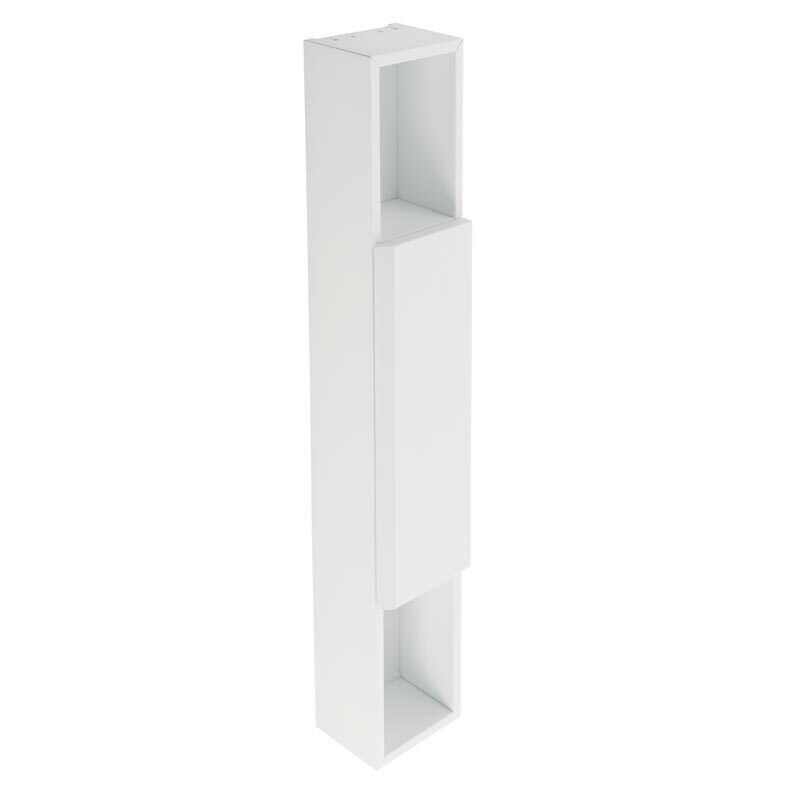 Acrylic stone under sink shelf with painted steel wall bracket. 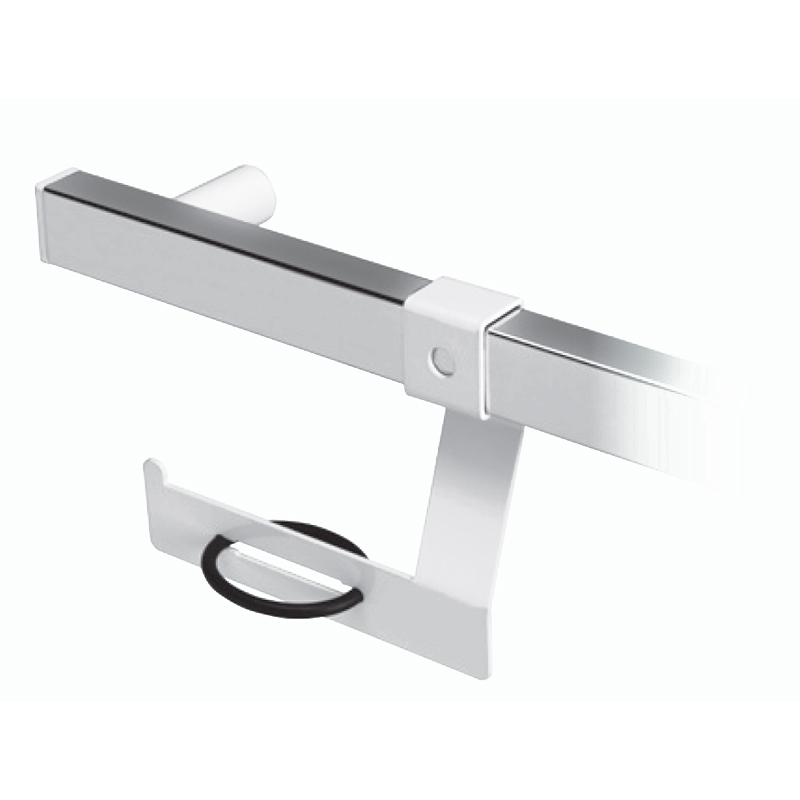 Acrylic stone toilet roll holder with polished stainless steel wall bracket. 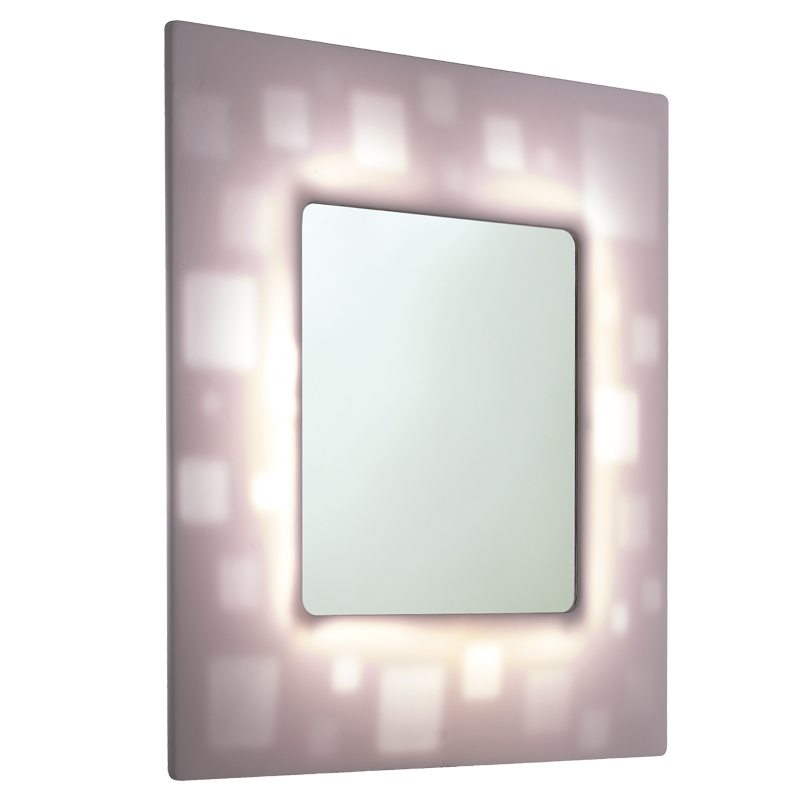 5 mm thick glass backlit mirror with translucent acrylic stone border frame and bevelled edges. 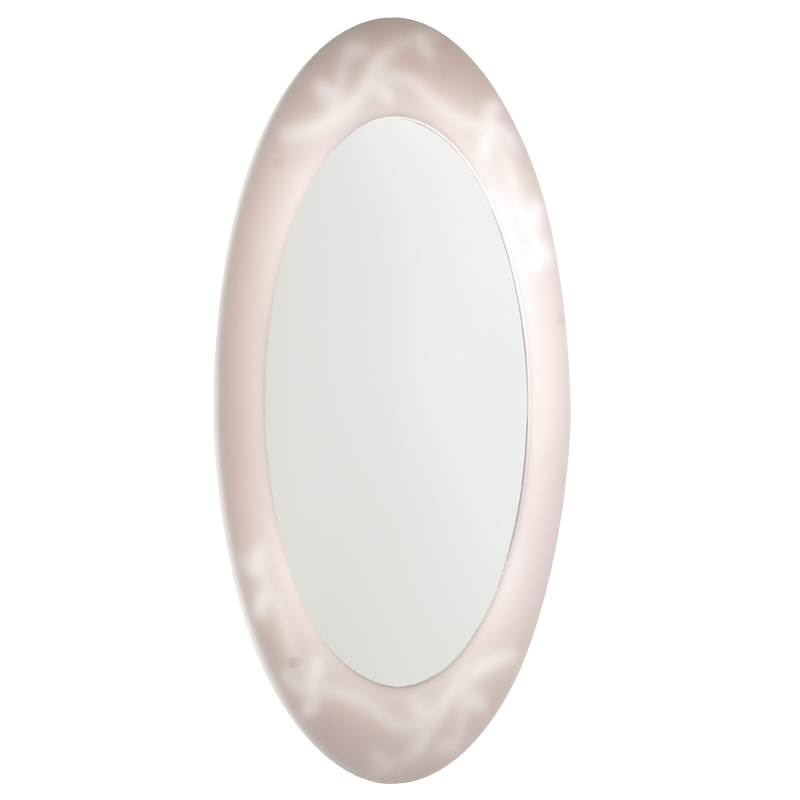 5 mm thick glass backlit oval mirror with translucent acrylic stone border frame and bevelled edges. 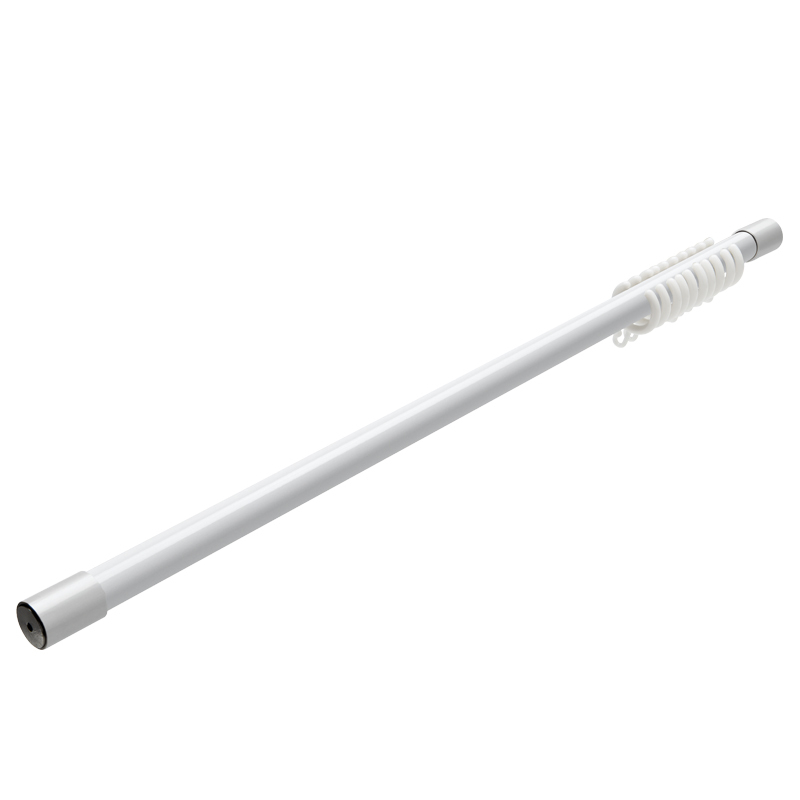 Straight shower curtain rod with polyamide coated rail Ø 33 mm having internal aluminium tube. Wall fixing kit Ø 72 mm in steel with cover flange. The rod can be shortened when assembling it. Equipped with POM curtain rings. 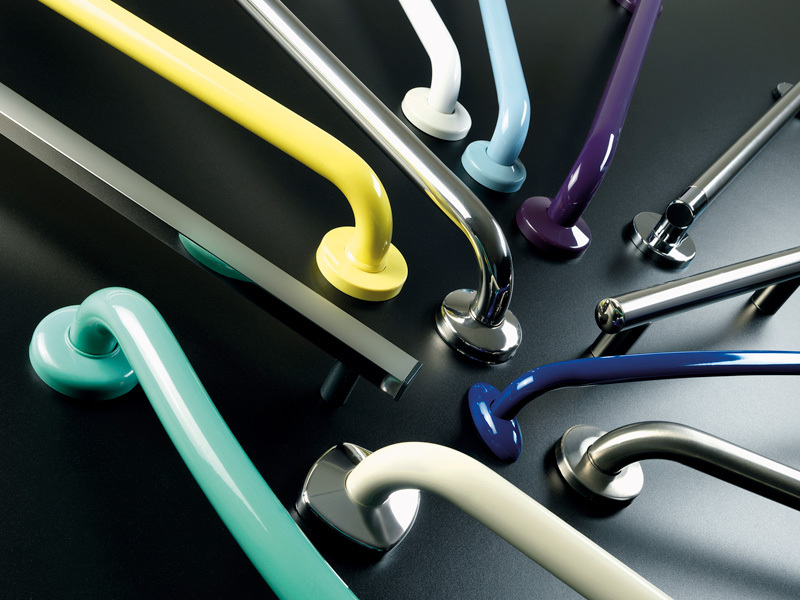 L-shaped shower curtain rods with polyamide coated rail Ø 33 mm having internal aluminium tube. 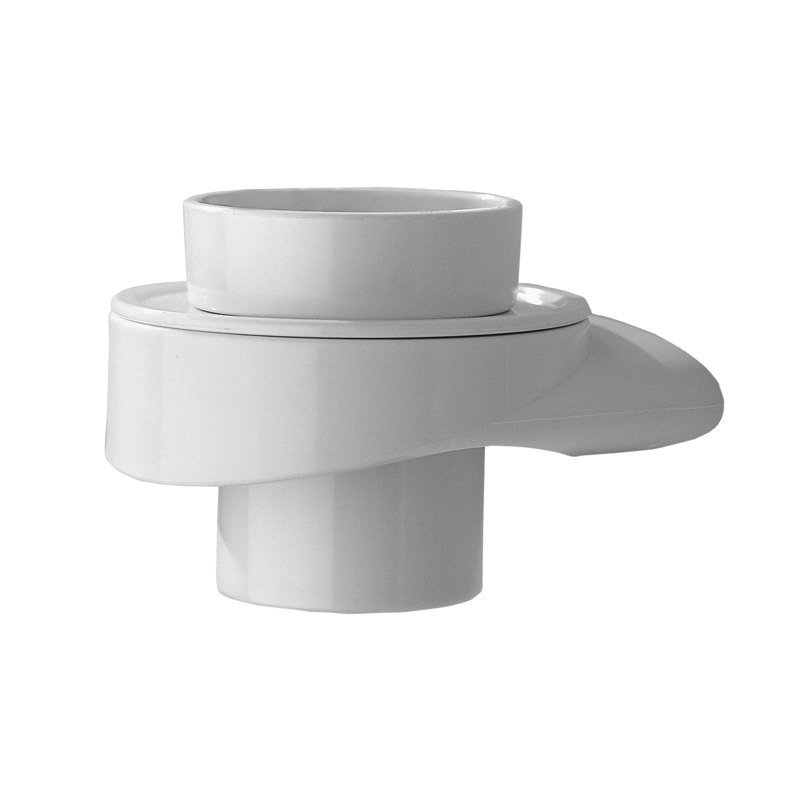 Concealed wall fixing kit Ø 72 mm in steel with cover flange. The rod can be shortened when assembling it. 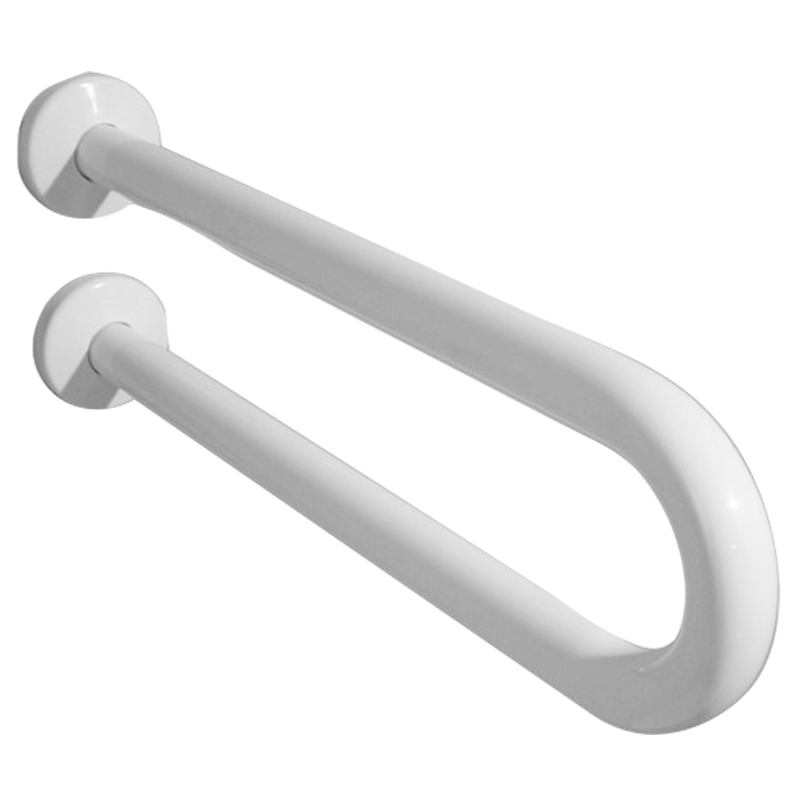 U-shaped shower curtain rods with polyamide coated rail Ø 33 mm having internal aluminium tube. 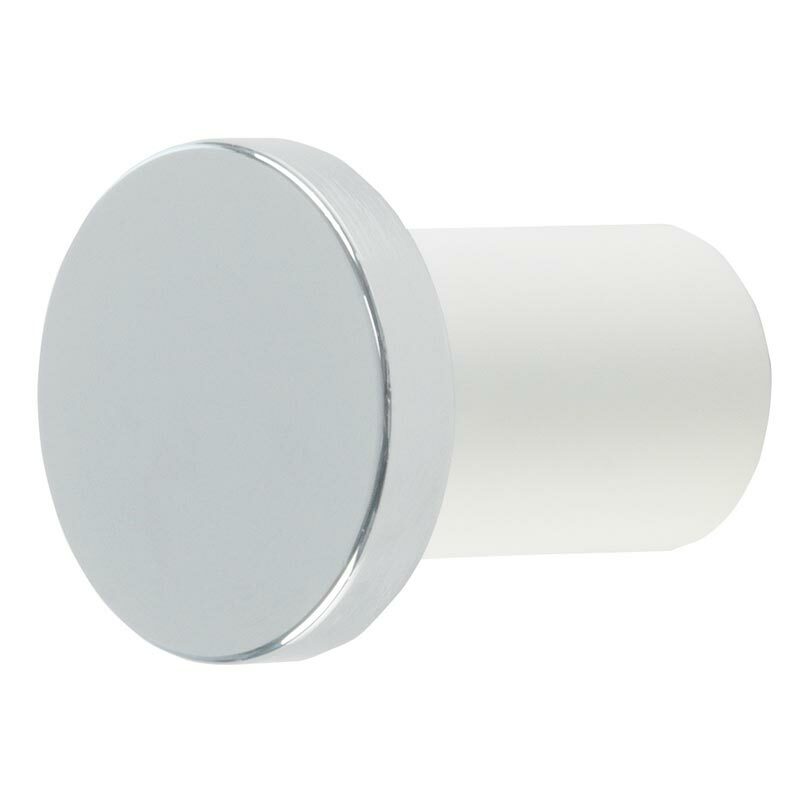 Concealed wall fixing kit Ø 72 mm in steel with cover flange. 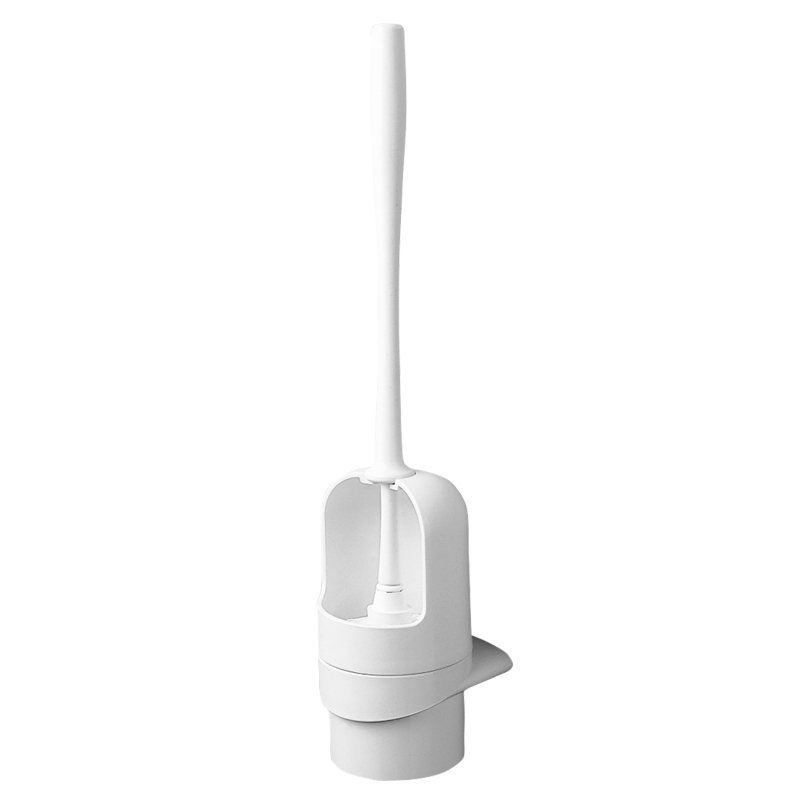 The rod can be shortened when assembling it. Equipped with POM curtain rings. 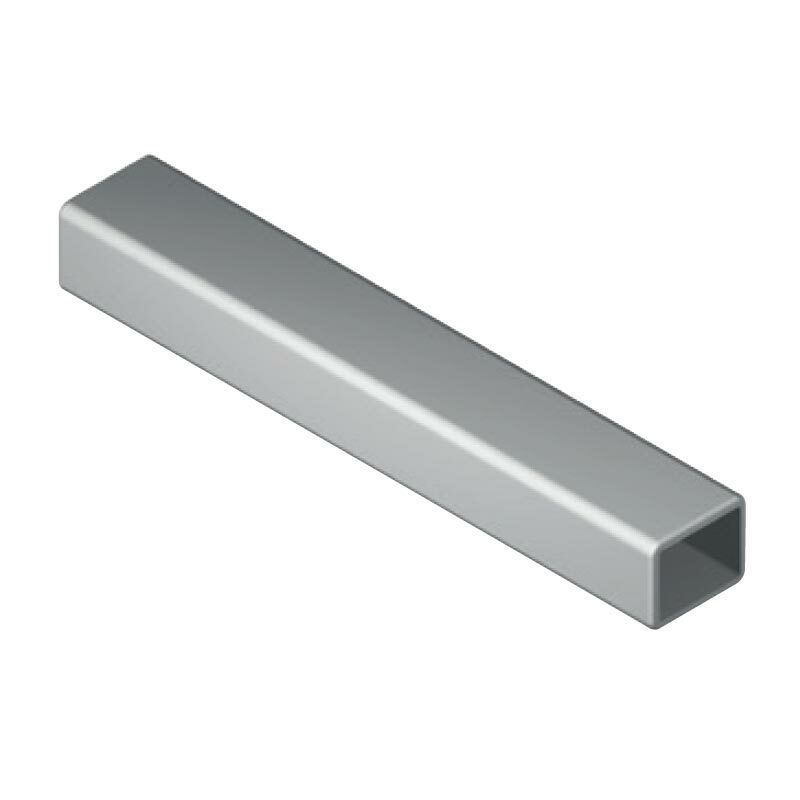 Junction rod for shower rod ceiling mounting with polyamide coated rail Ø 33 mm having internal aluminium tube. 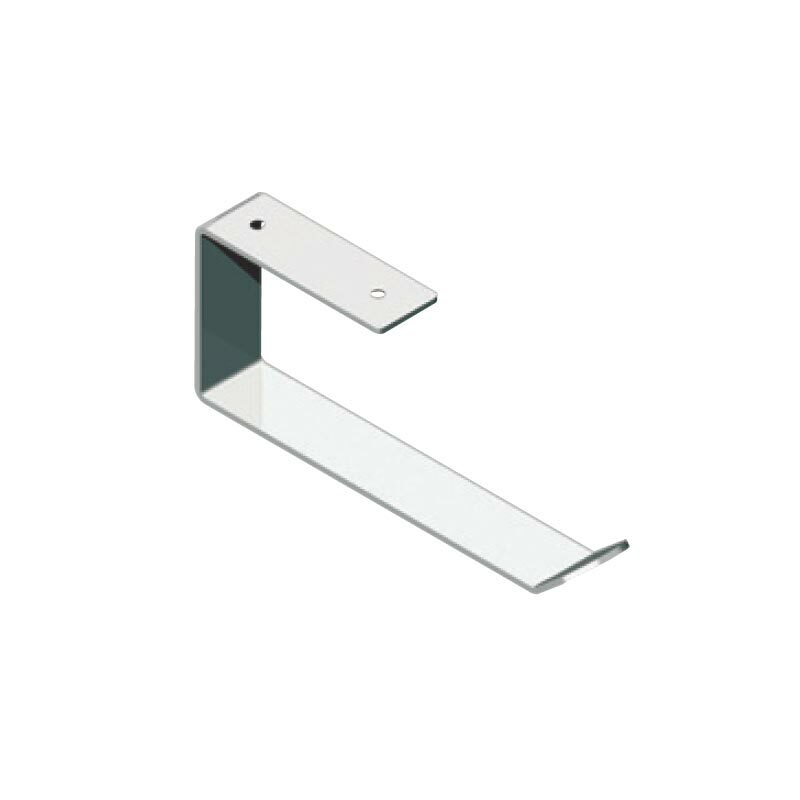 Concealed wall fixing kit Ø 72 mm in steel with cover flange. The rod can be shortened when assembling it. 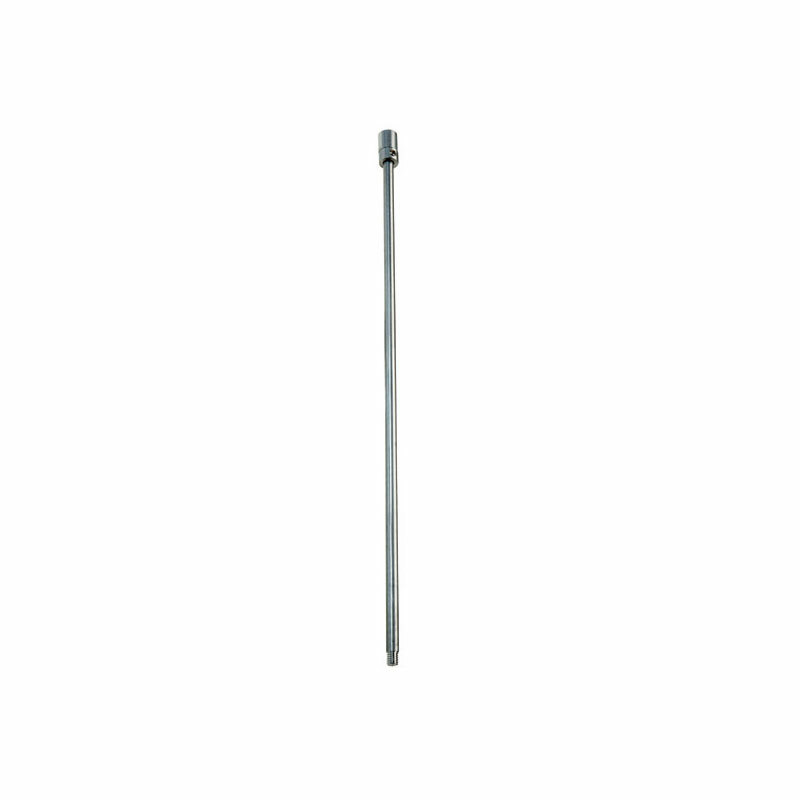 Straight shower curtain rods with polyamide coated rail Ø 33 mm having internal aluminium tube, suitable to be used as room partition. Fixing kit Ø 72 mm in steel with cover flange from one side and cover cap on the other one. The rod can be shortened when assembling it. Expandable by means of ceiling junctions. Equipped with 12 POM curtain rings. 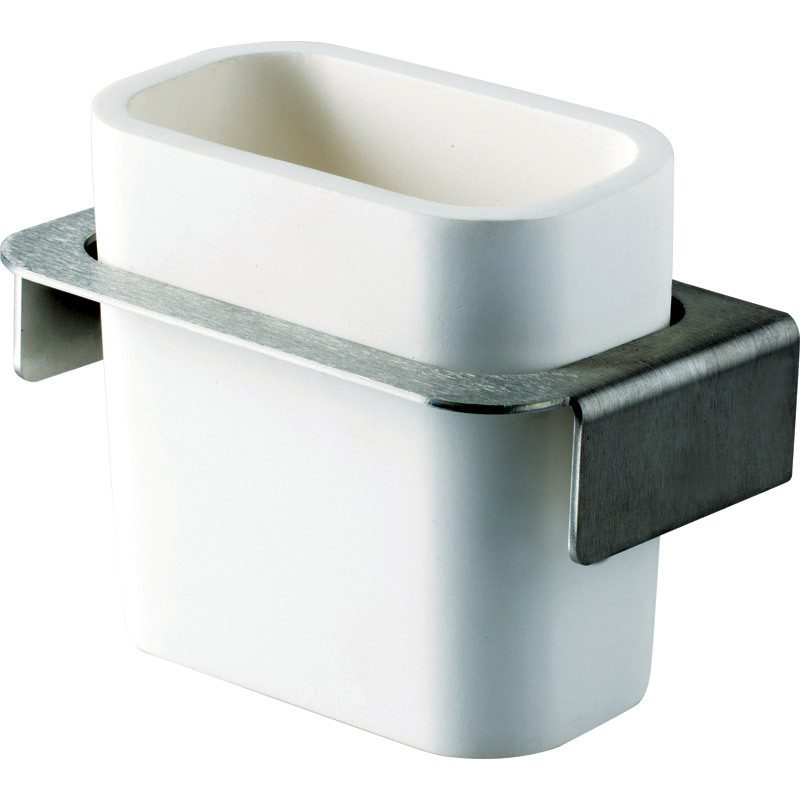 Toilet roll holder for wall fixing, manufactured from steel powdered coated and suitable for one toilet roll. 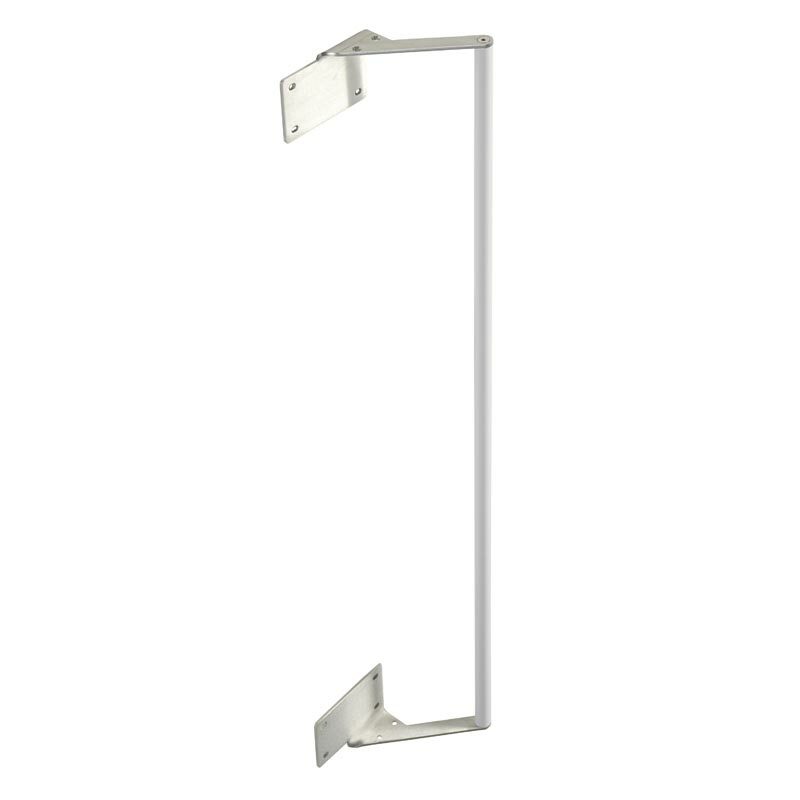 Ceiling support rod for shower rail made of Ø 8 mm aluminium bar. 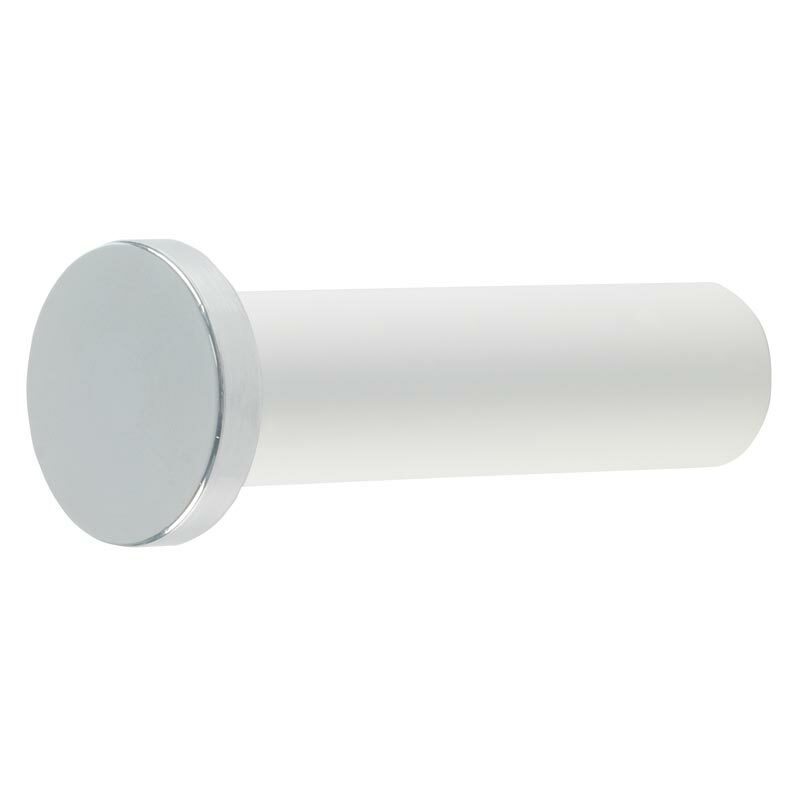 Concealed wall fixing aluminium cylinder Ø 15 mm. 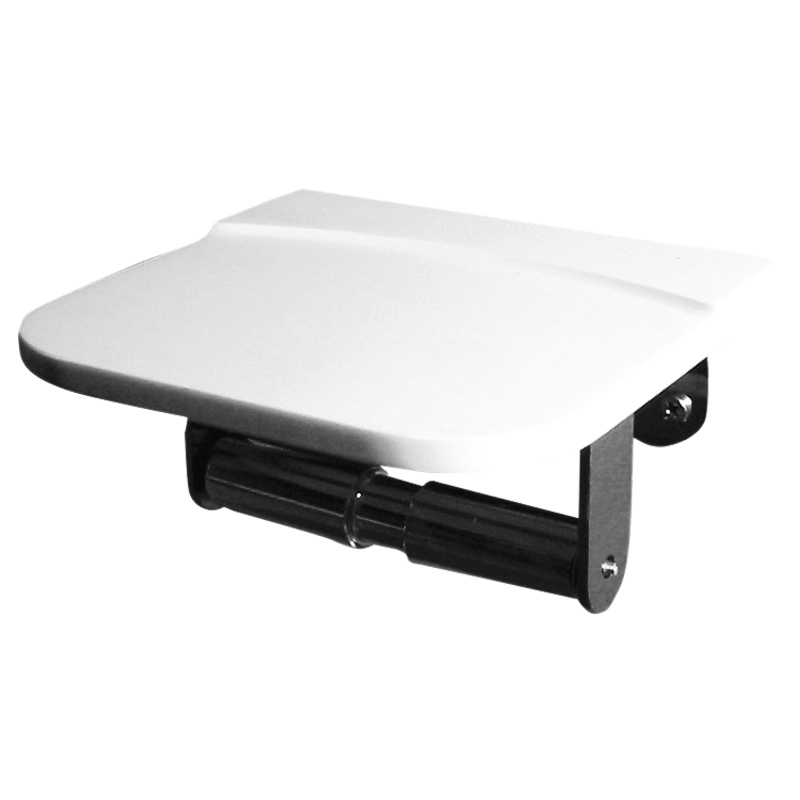 All the components are oxide satin external finish available only. The bar can be shortened when assembling it. Support for magnetic shower, "Fish"
Support for magnetic shower, "Round"
Support for magnetic shower, "Gecko"
Support for magnetic shower, "Butterfly"